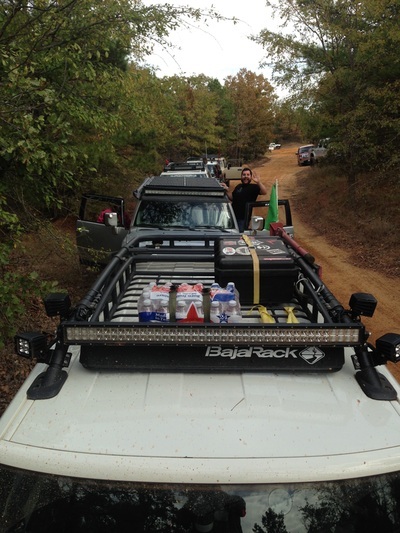 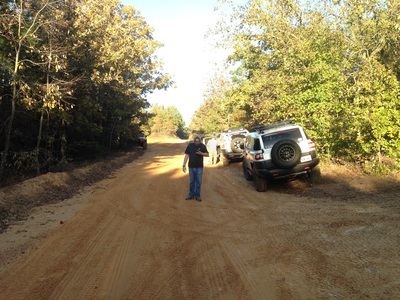 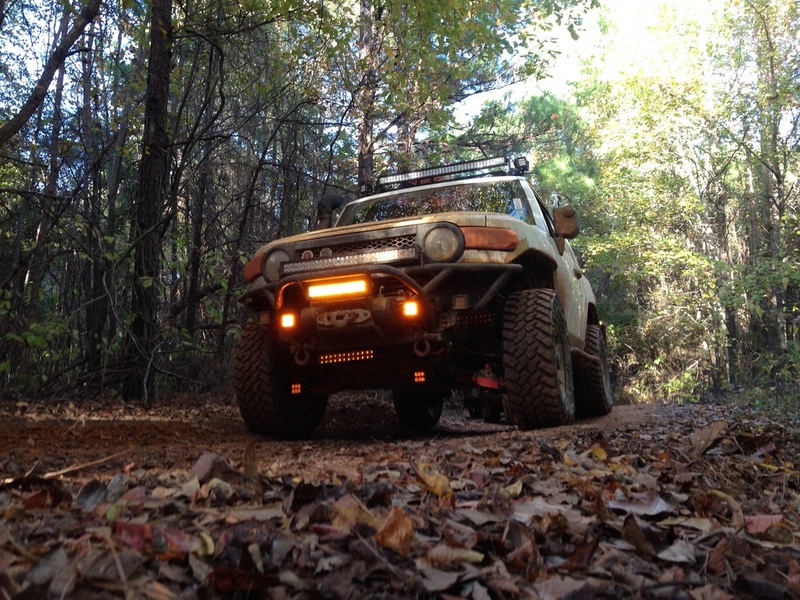 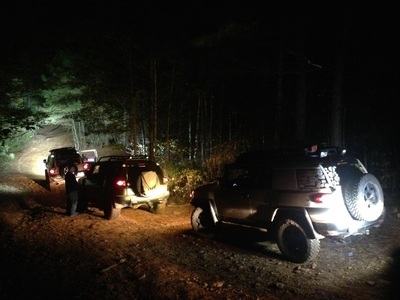 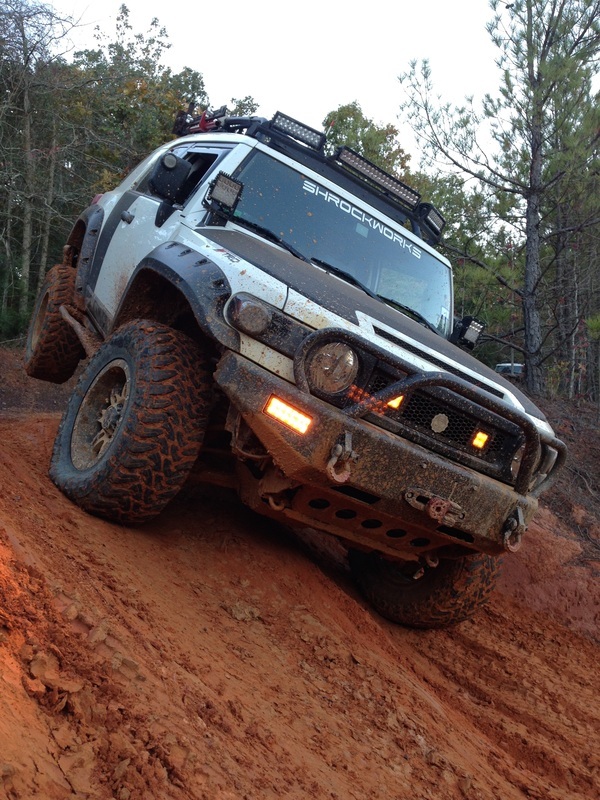 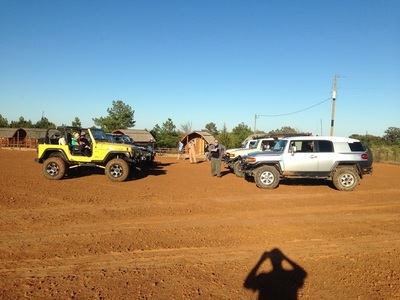 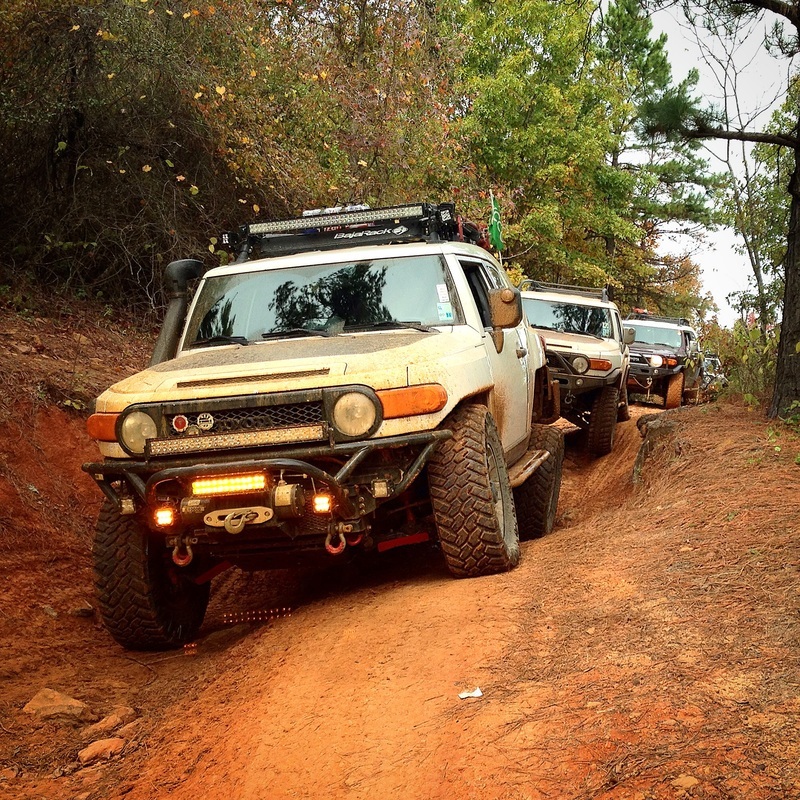 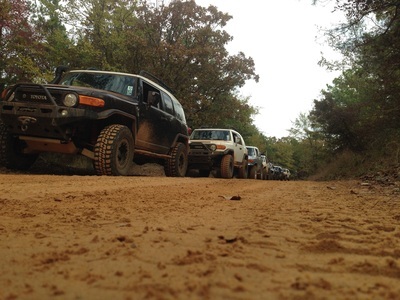 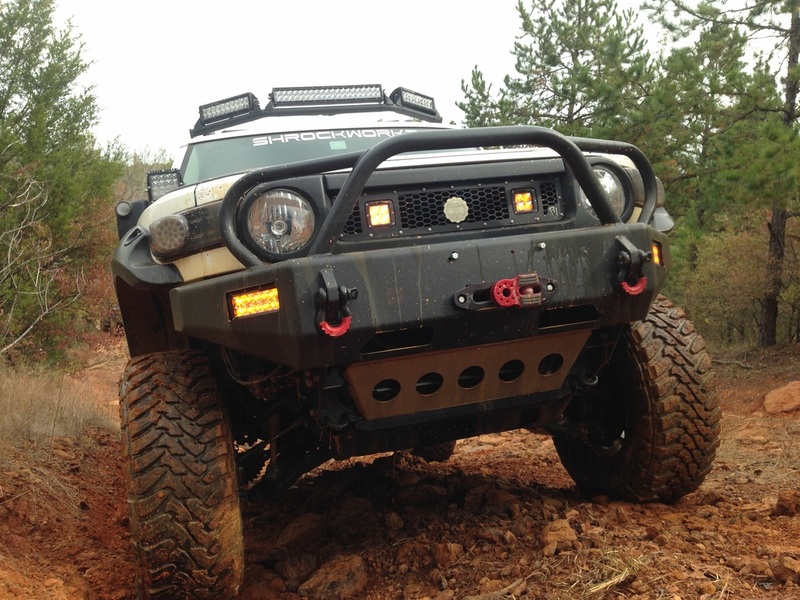 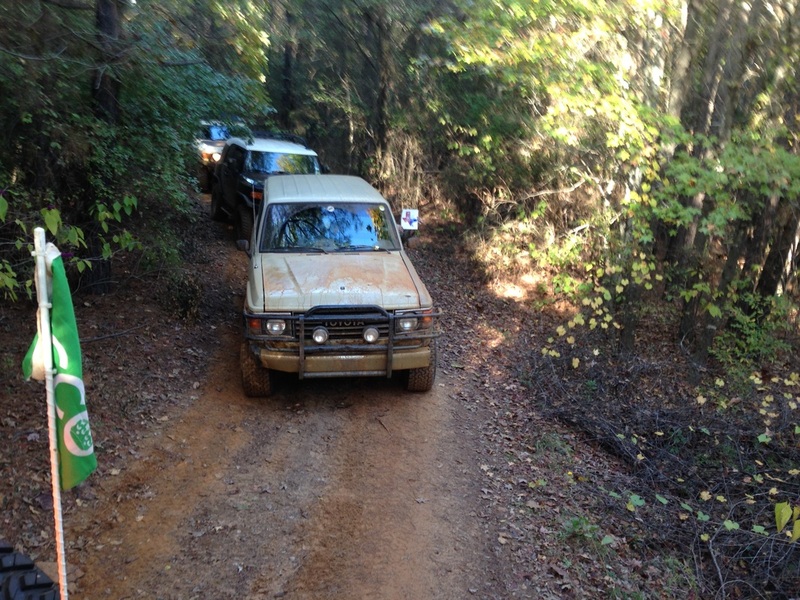 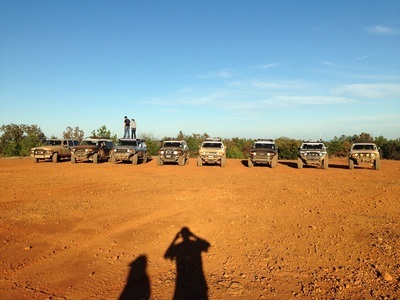 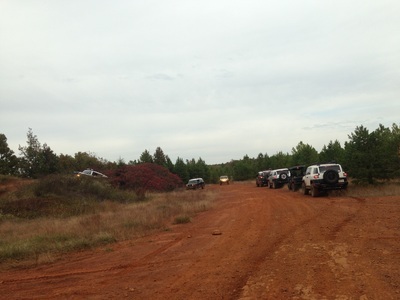 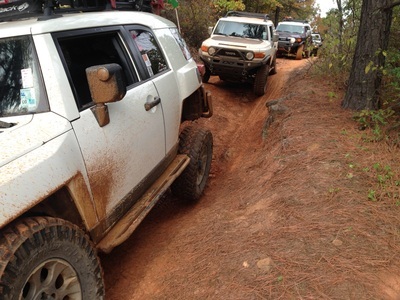 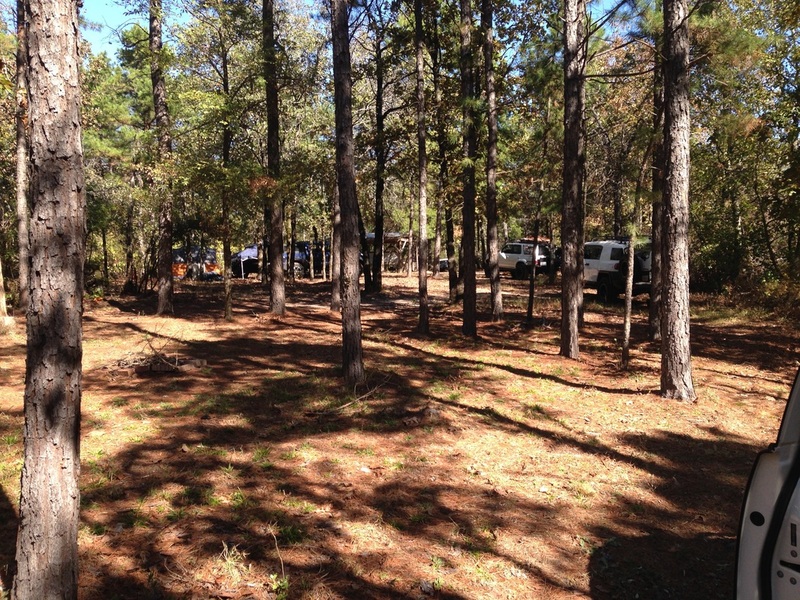 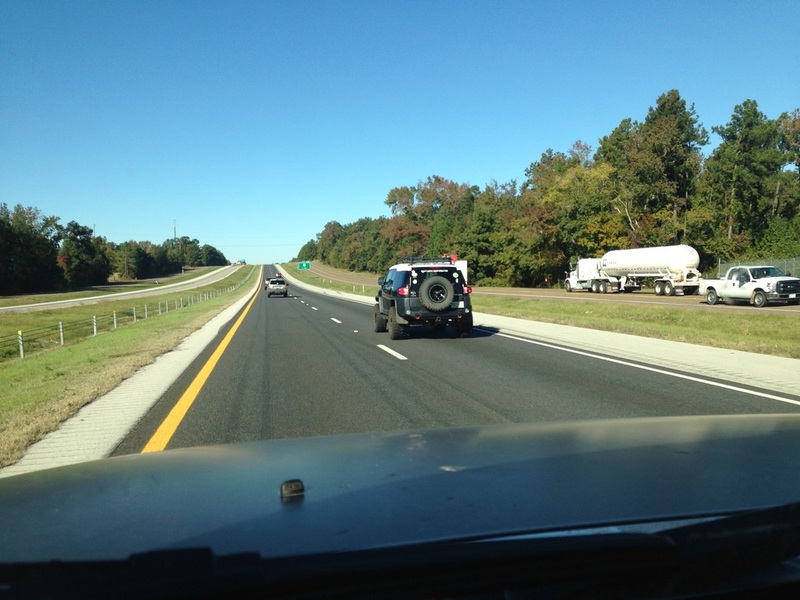 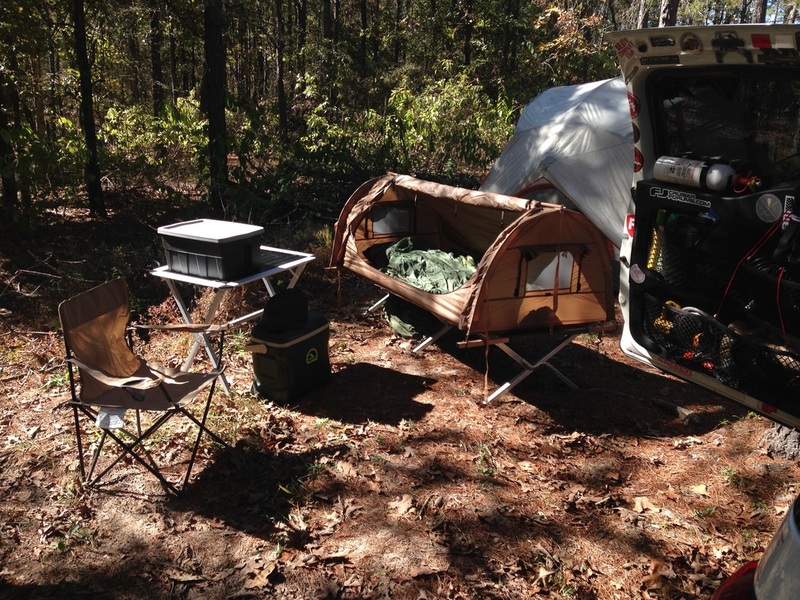 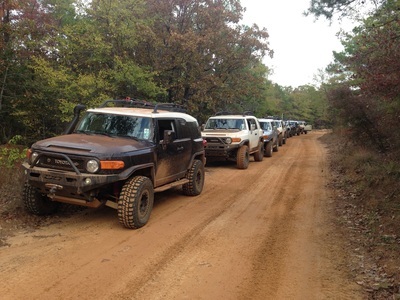 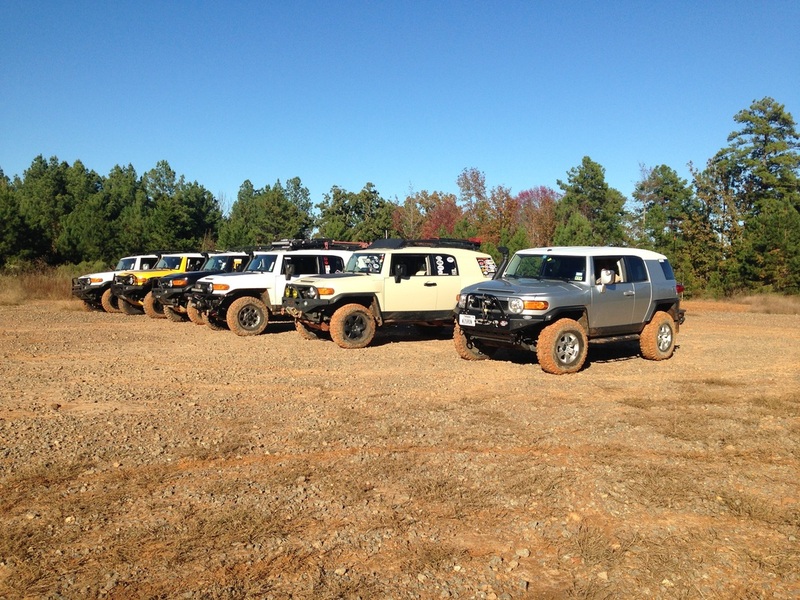 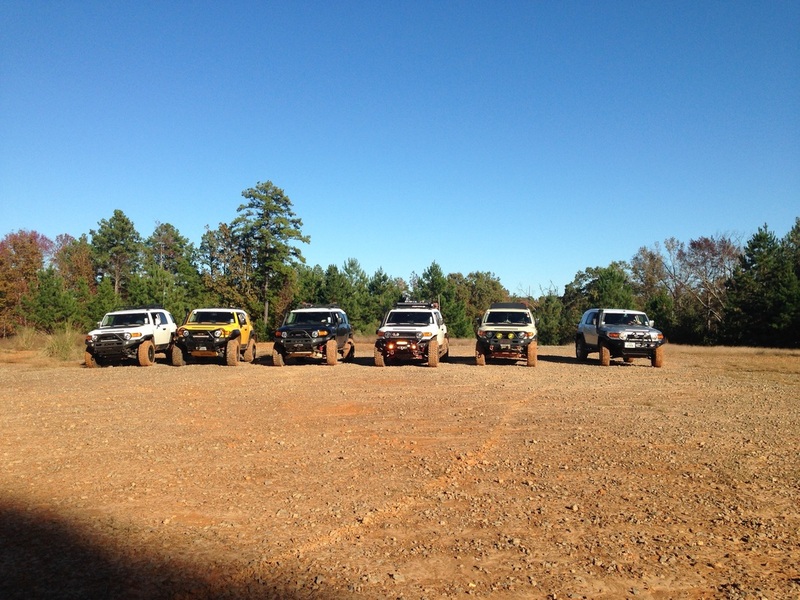 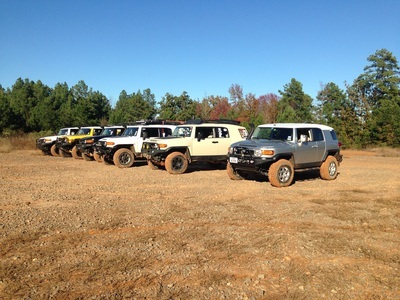 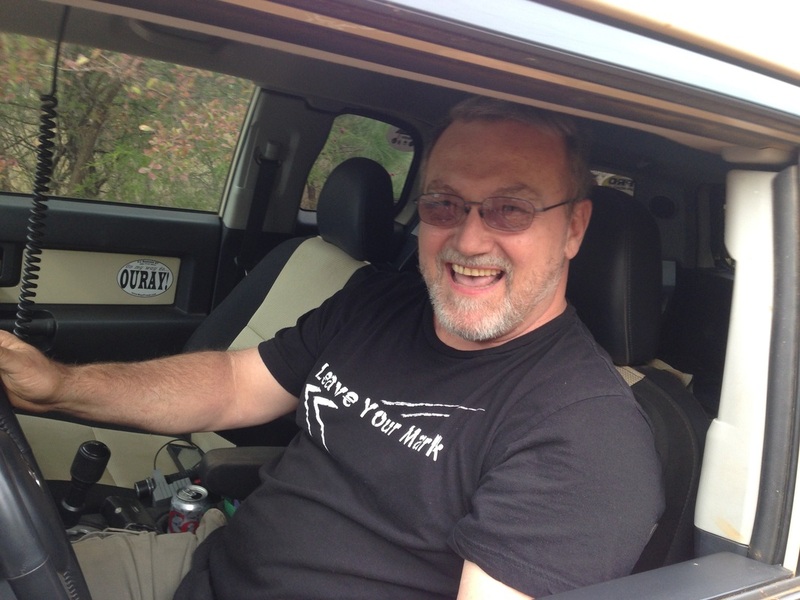 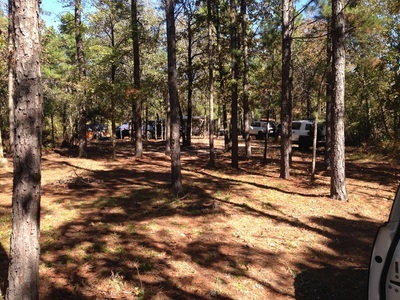 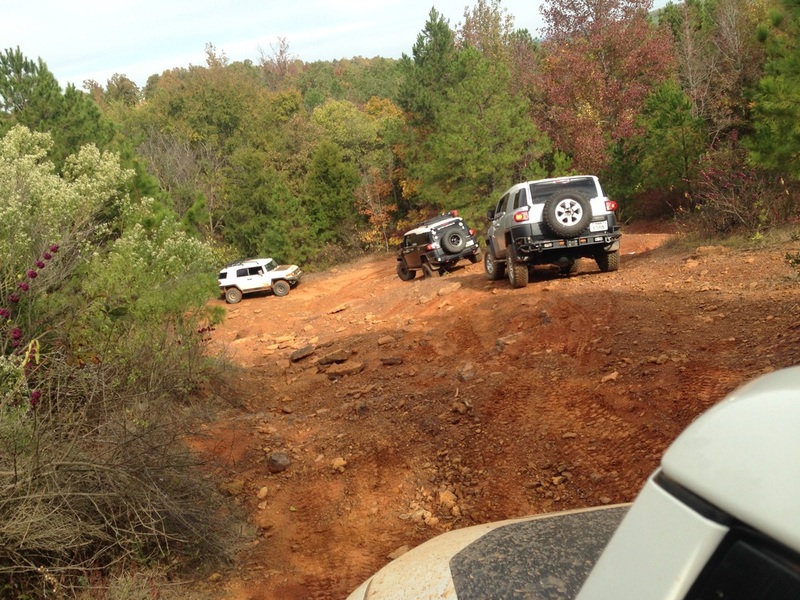 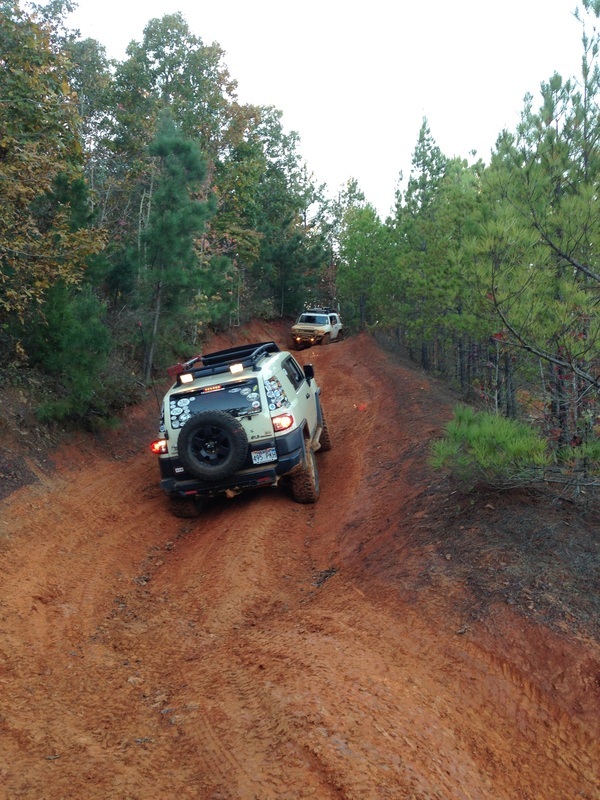 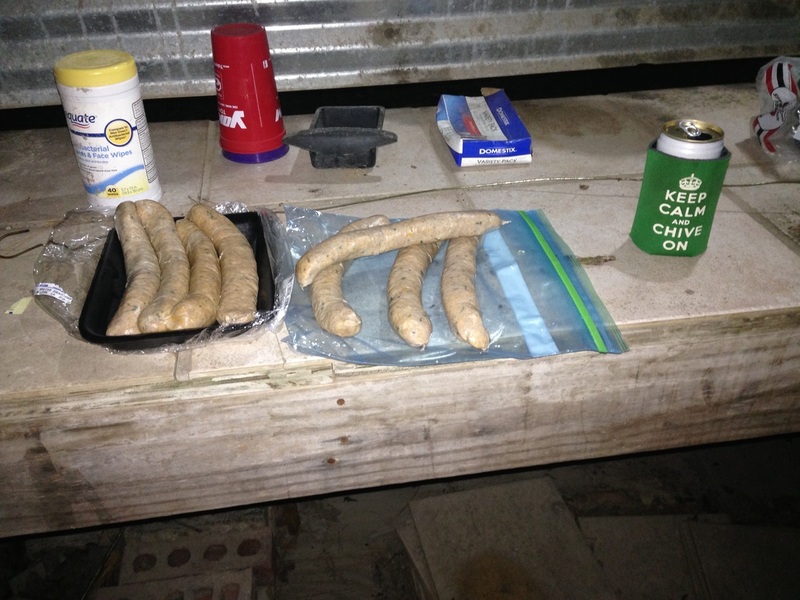 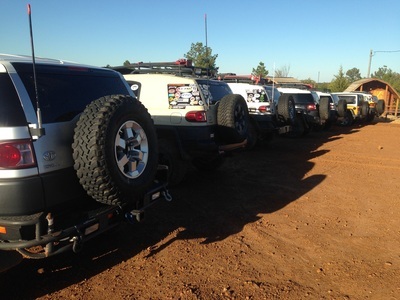 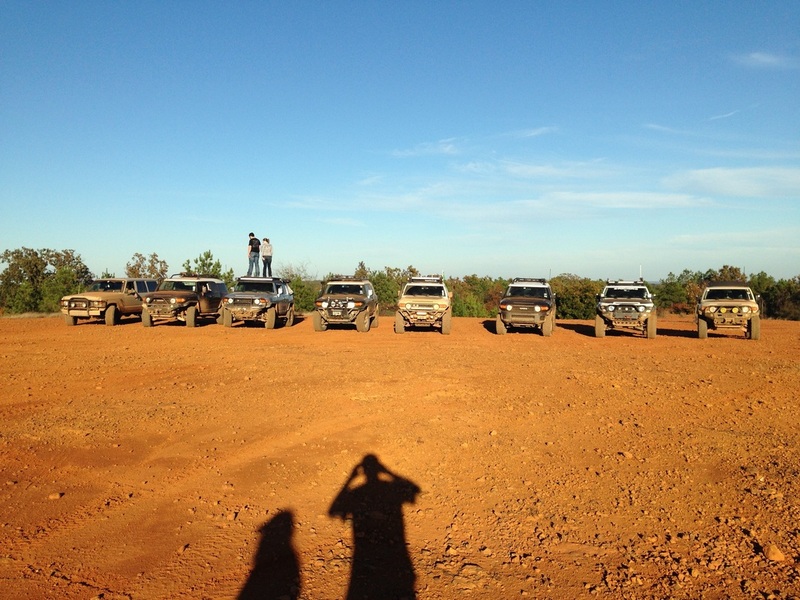 On November 7th-9th a group of us met at Barnwell Mountain Recreational Area for Turkey Trot. 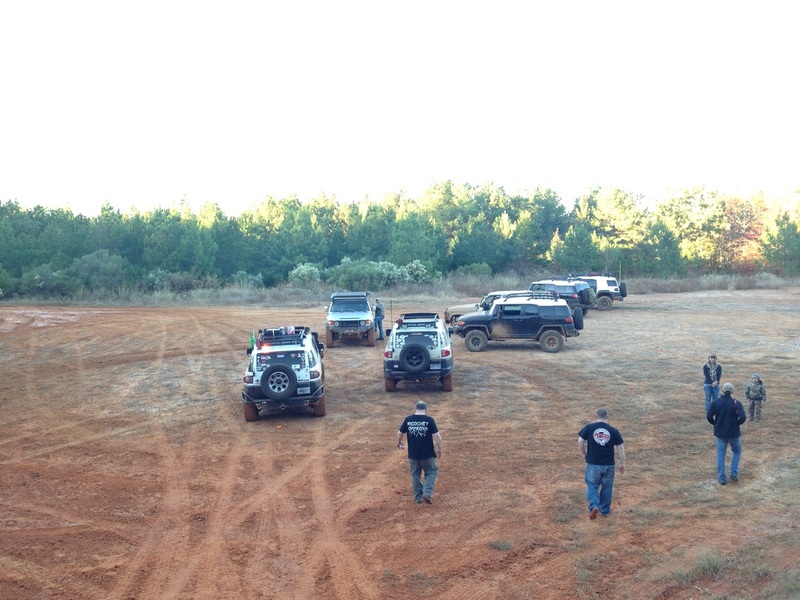 There was a good turn out for this event. 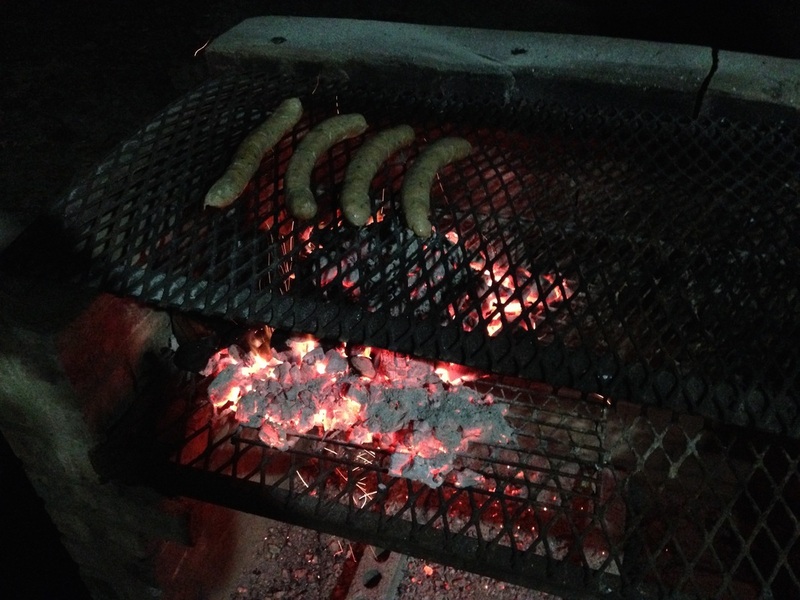 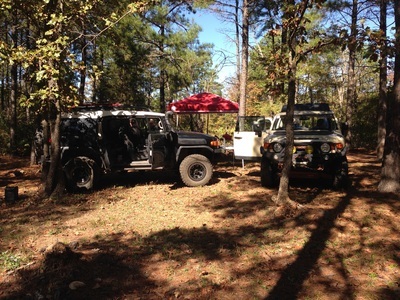 I had a great weekend of camping, wheeling and camp fire conversation. 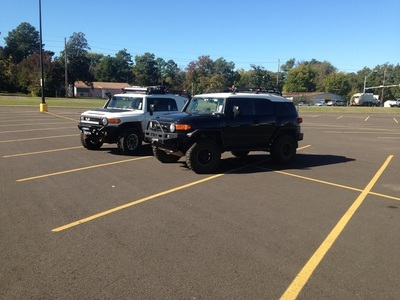 I was able to see some friends and make new ones. 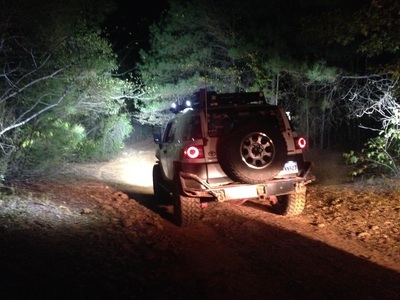 I had an interesting night on the trail while doing a night run. 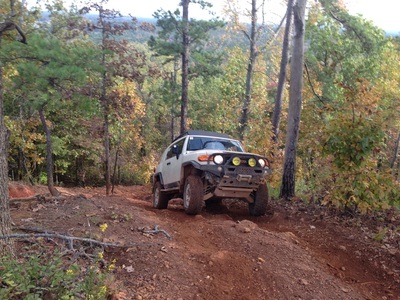 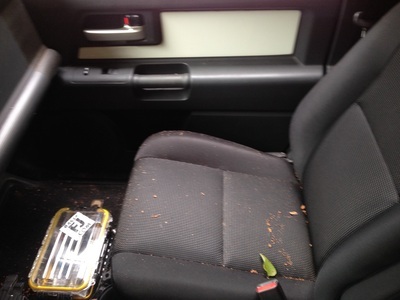 While running one of the trails I heard a grinding noise from the front passenger side. 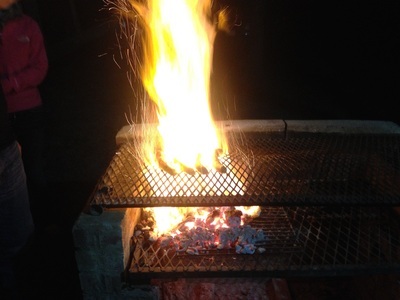 It sounded like I broke something so I got out to check. 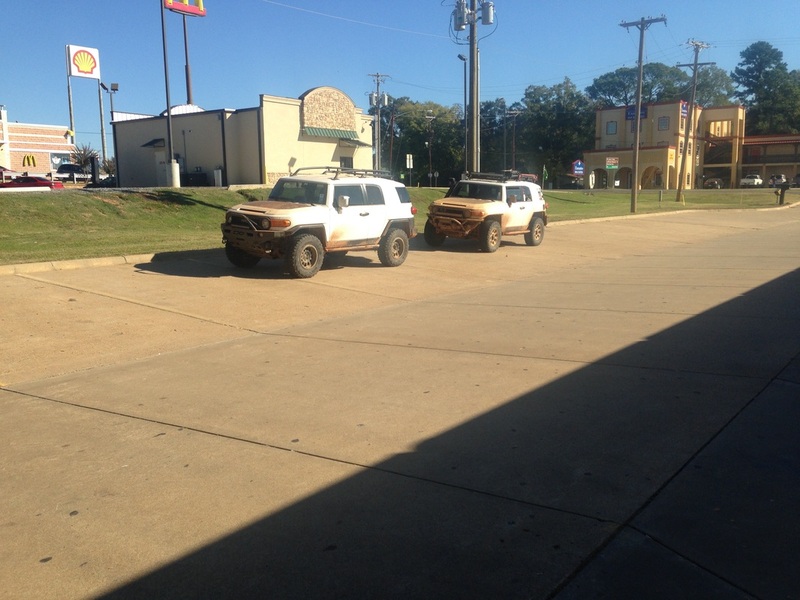 I looked under the front of the FJ and didn't see anything. 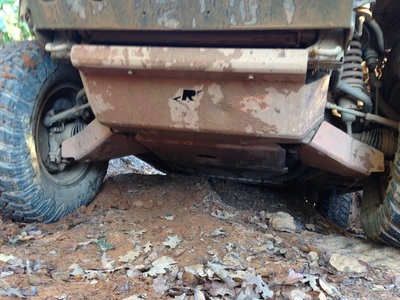 I started walking up the trail and saw little pieces of metal shards on the ground. 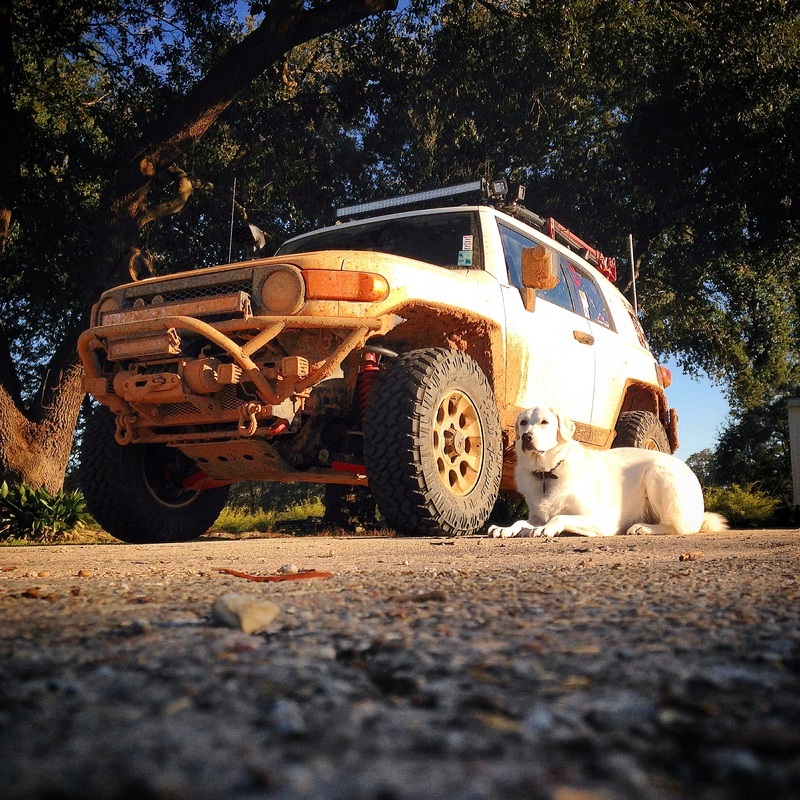 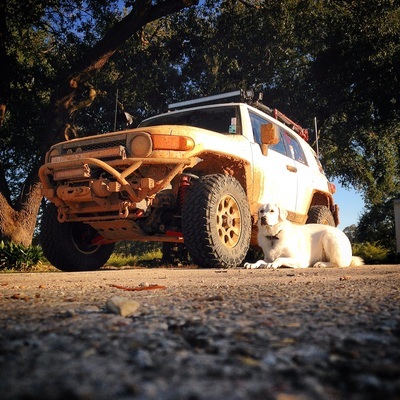 While I was walking the trail, Jack was kind enough to crawl under the FJ. 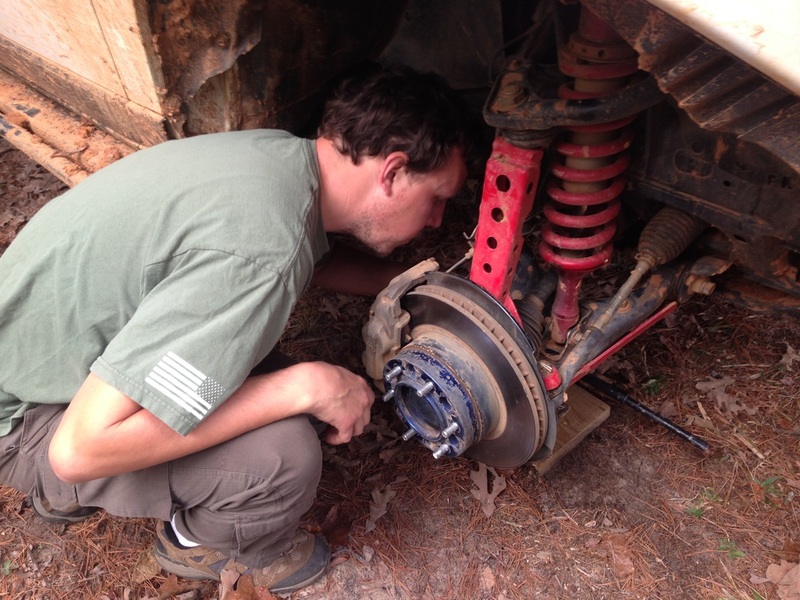 He noticed a bolt missing on my caliper. 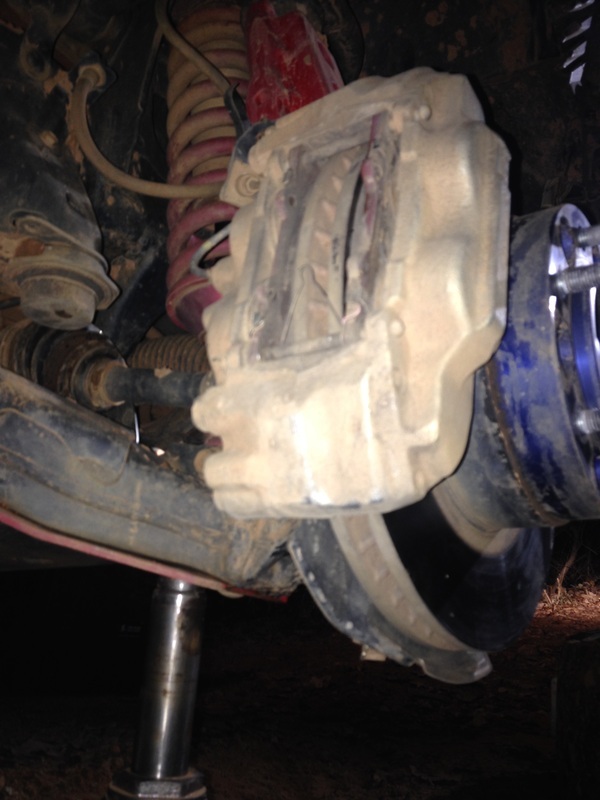 Evidently a bolt backed out of the caliper and came loose from the rotor. 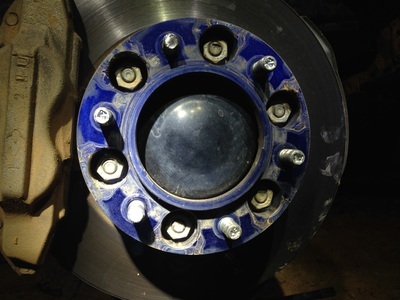 That caused the caliper to get pined between the rotor and rim. 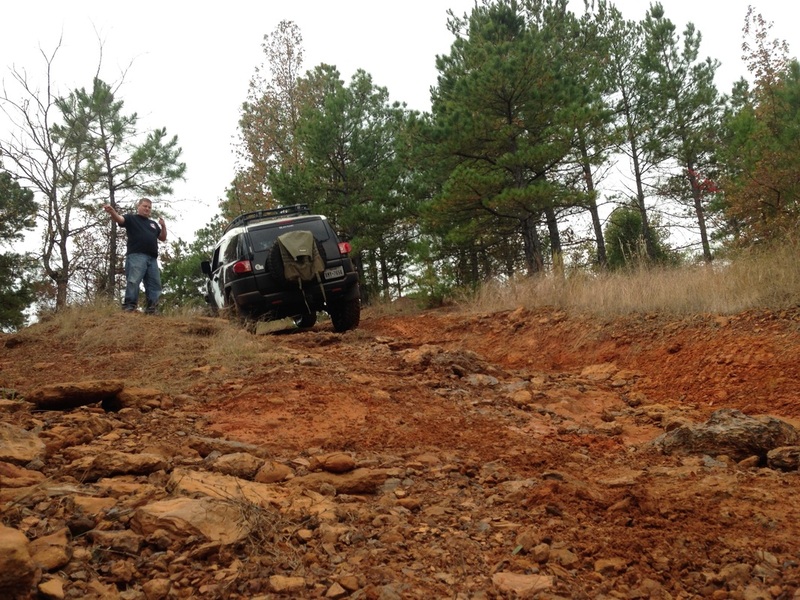 The terrain prevented us from working on the there. 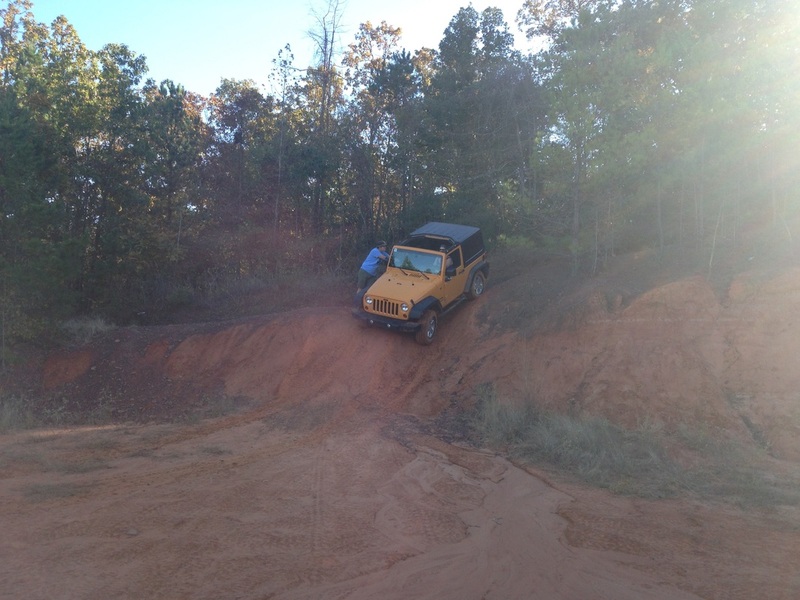 I put it in 4L, engaged the e-locker and pushed it down the hill. 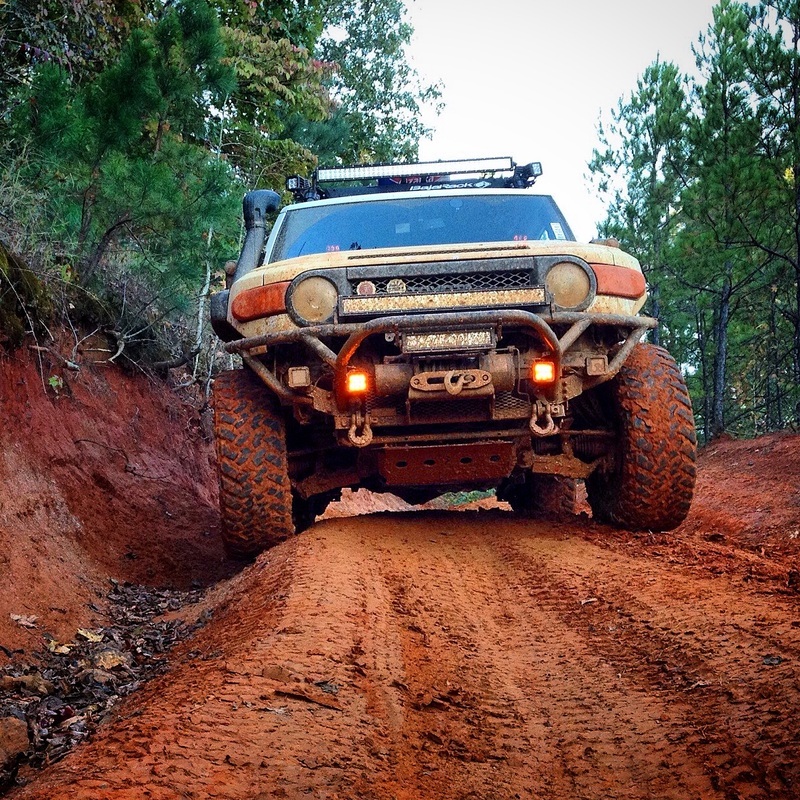 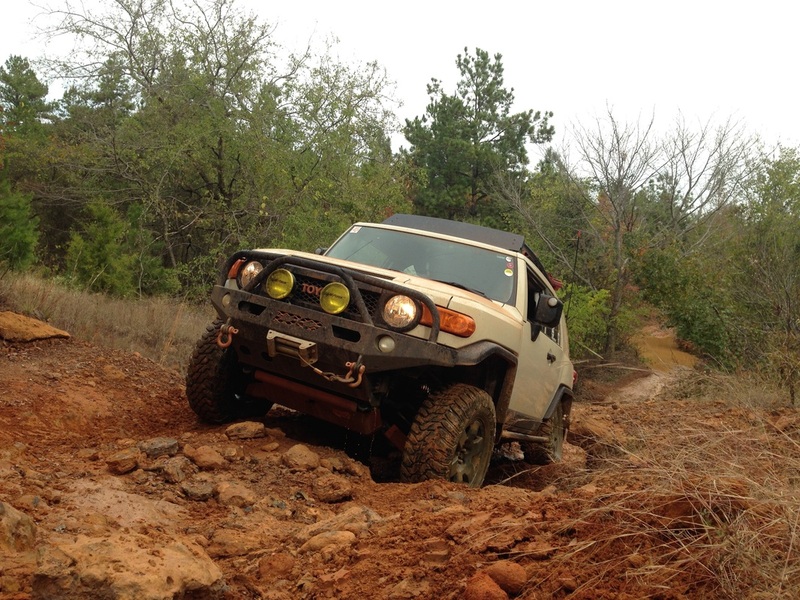 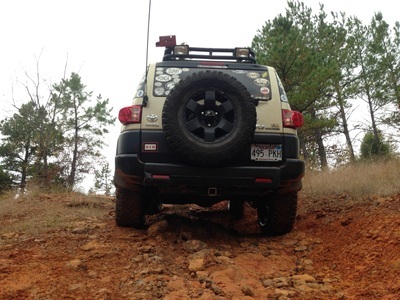 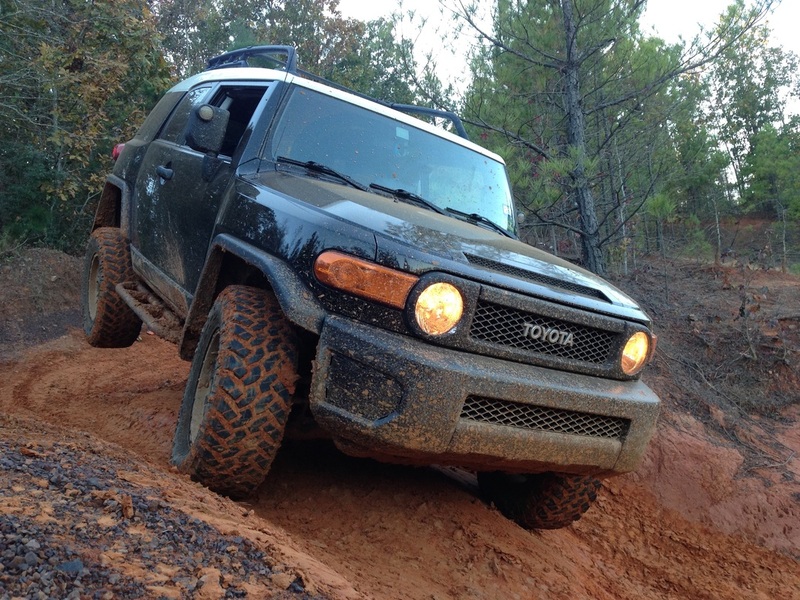 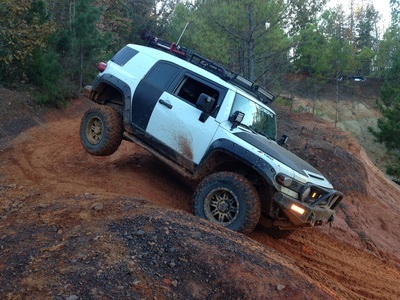 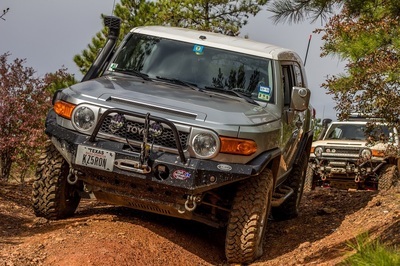 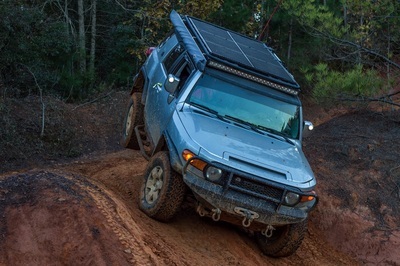 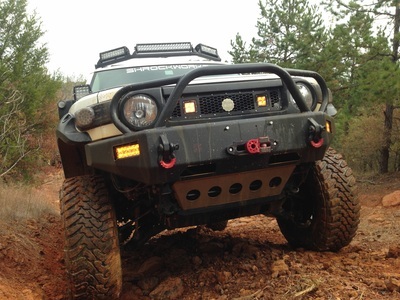 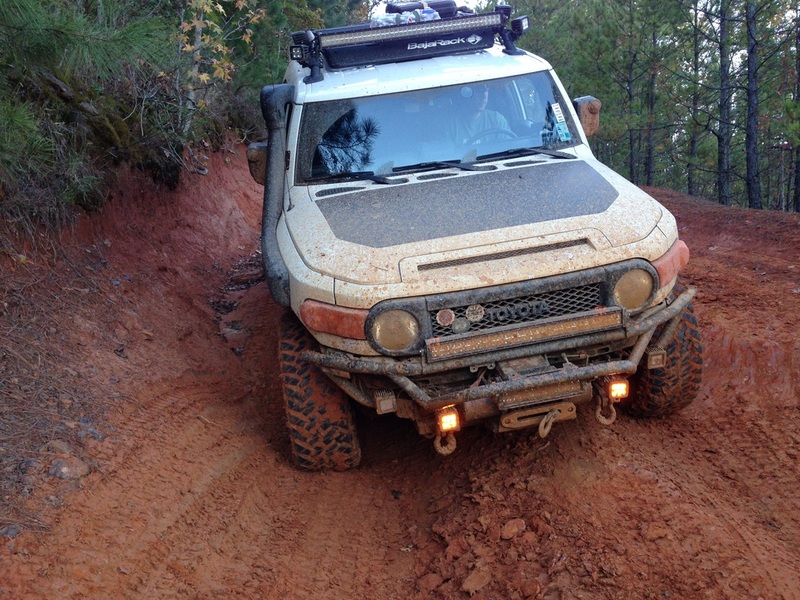 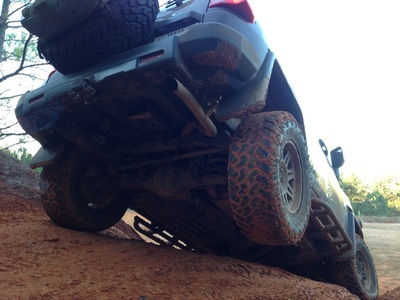 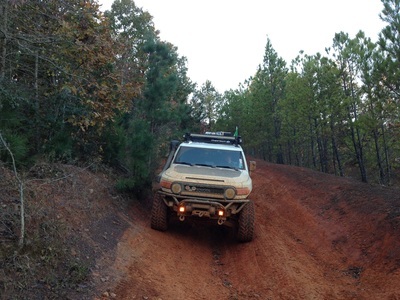 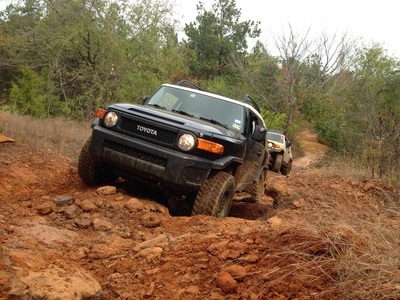 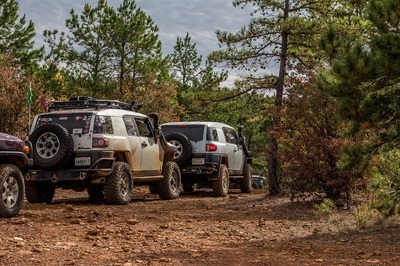 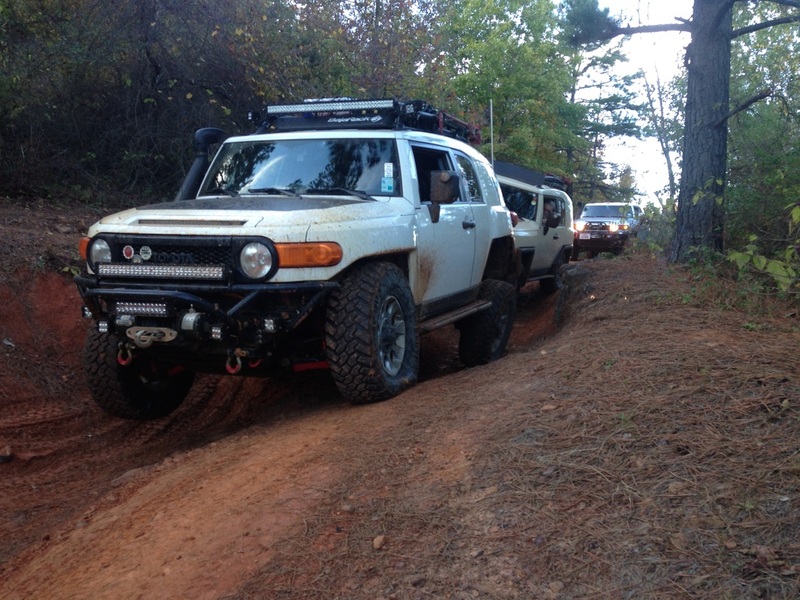 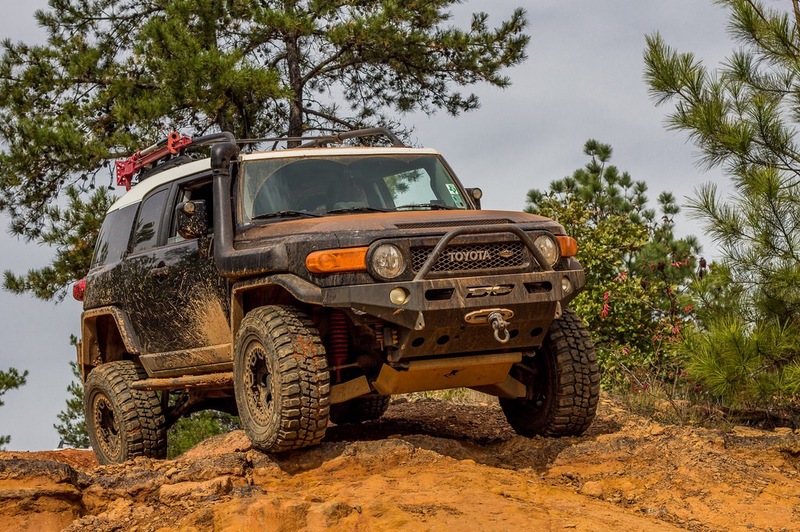 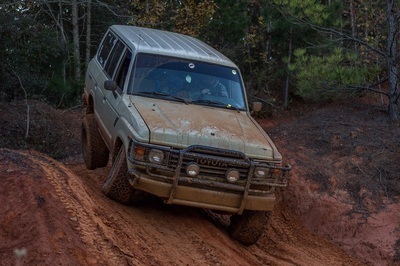 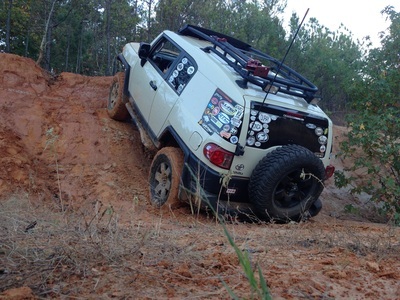 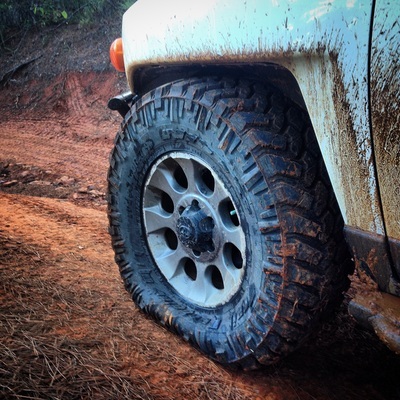 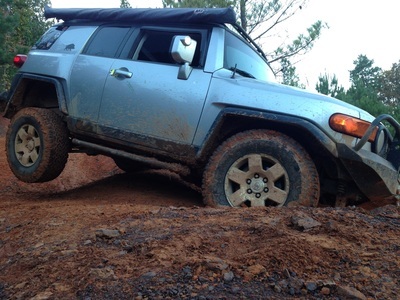 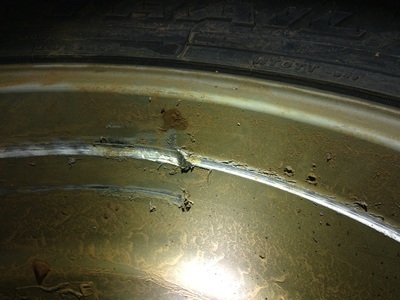 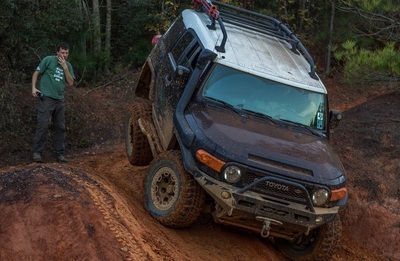 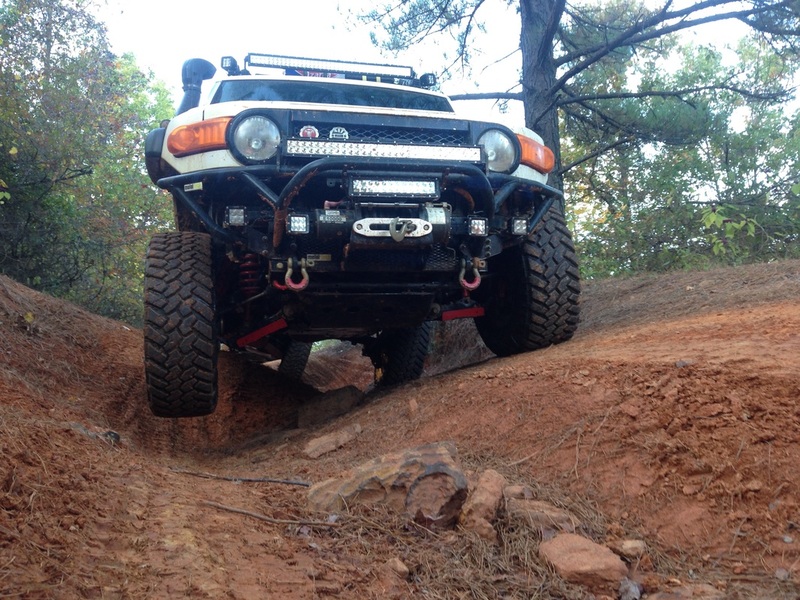 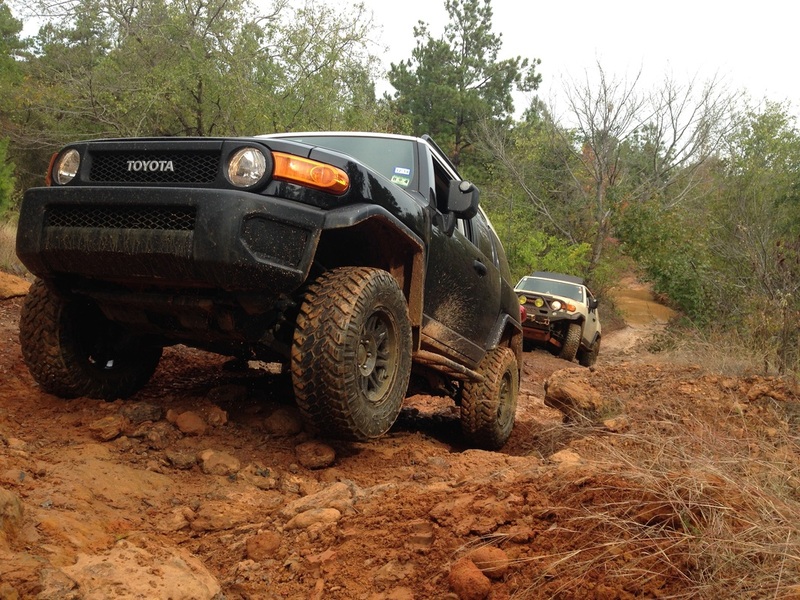 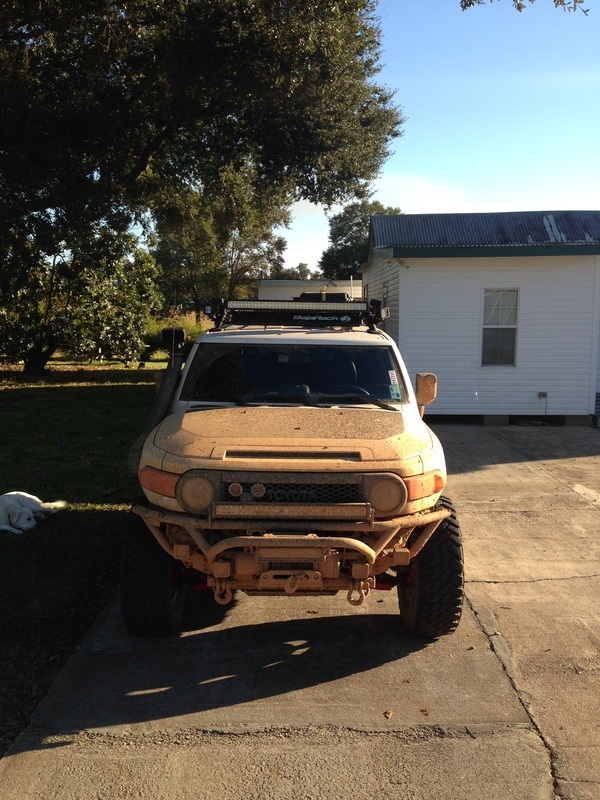 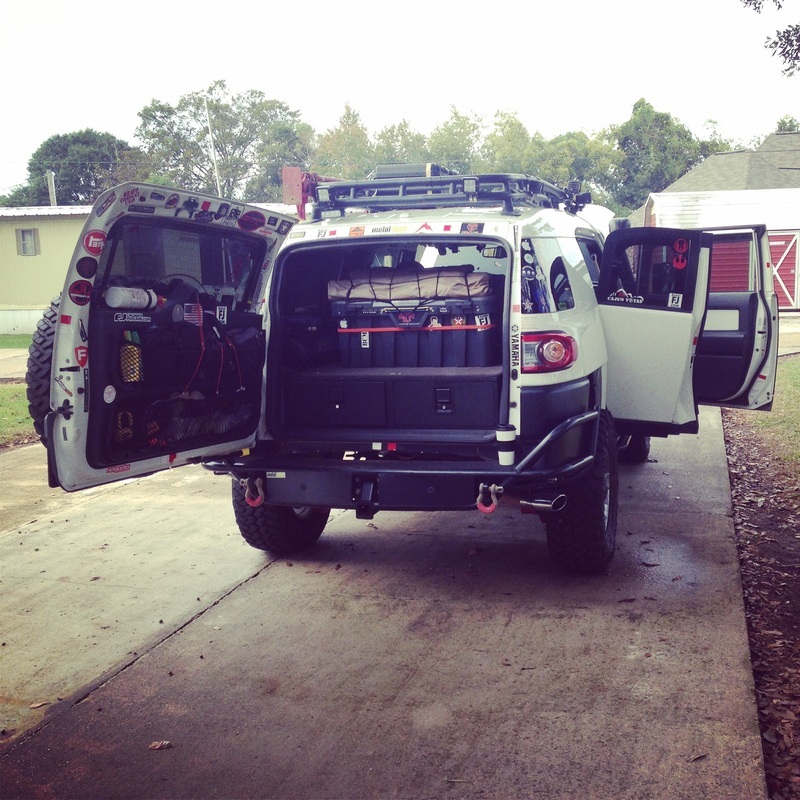 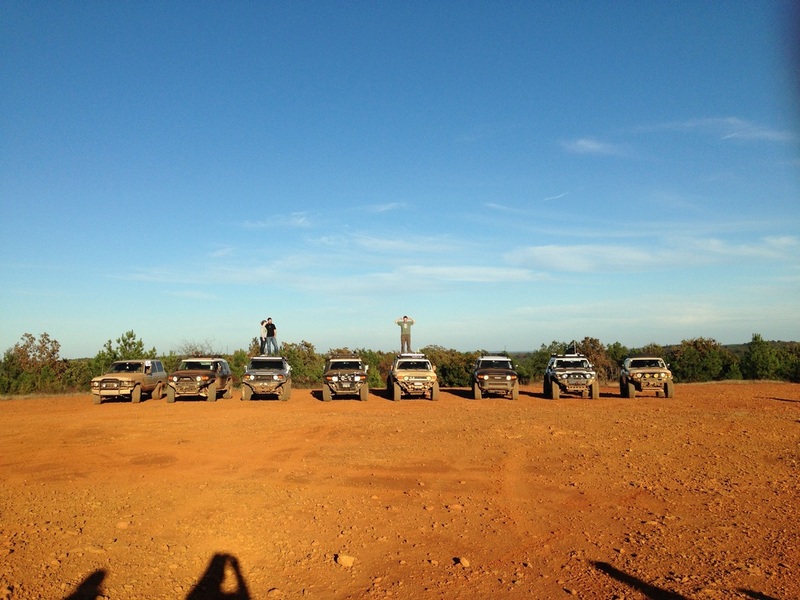 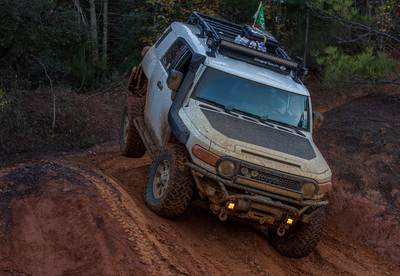 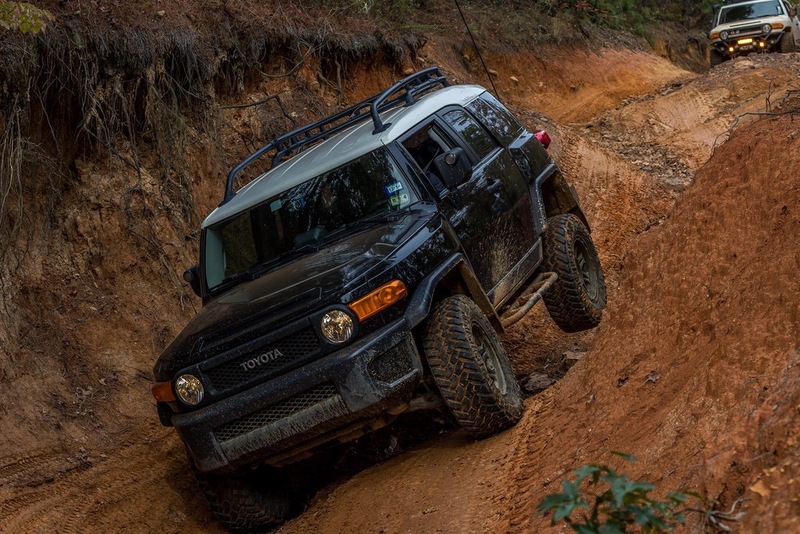 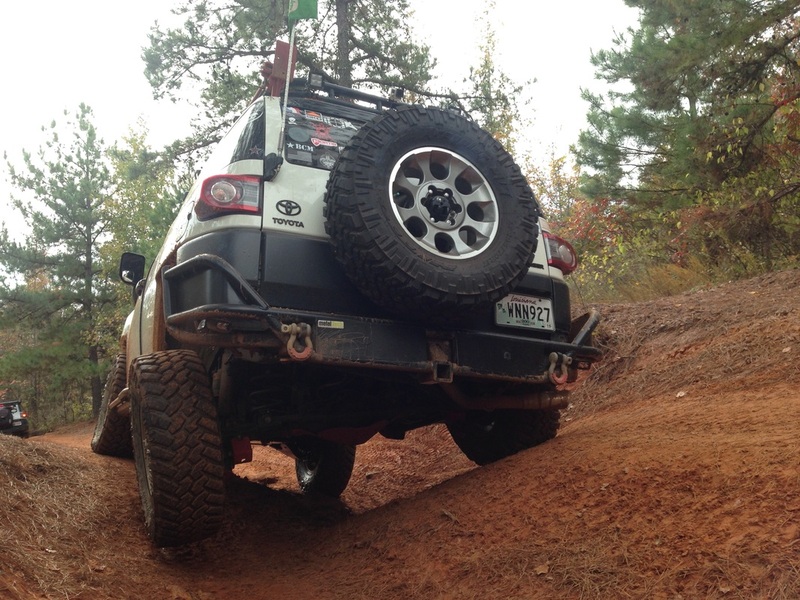 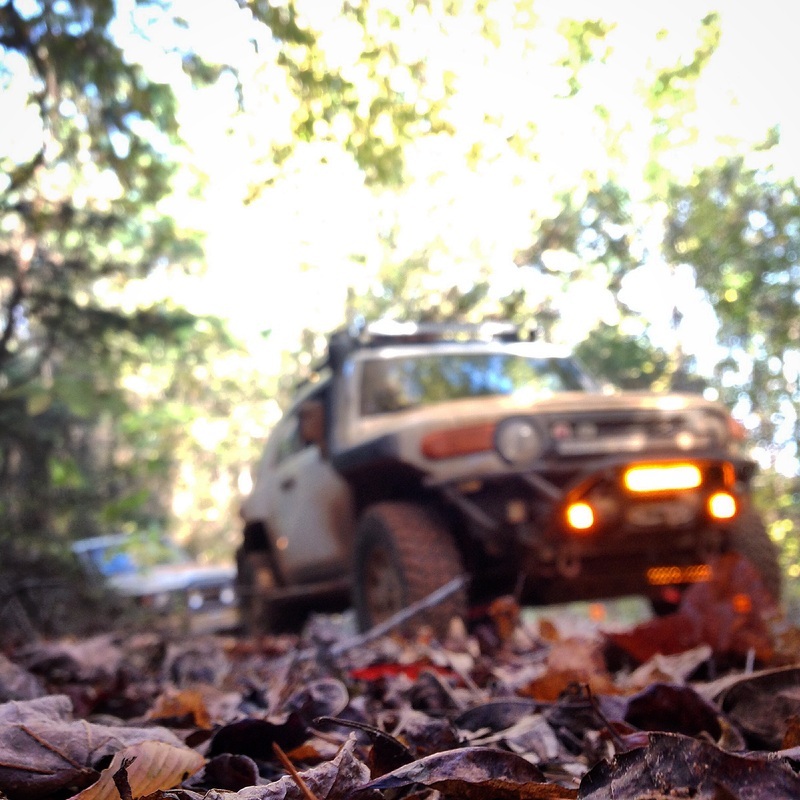 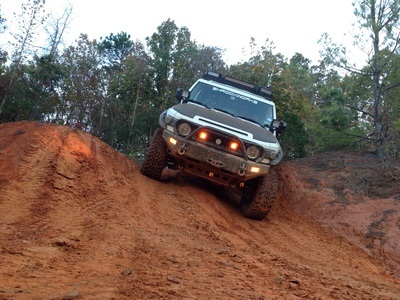 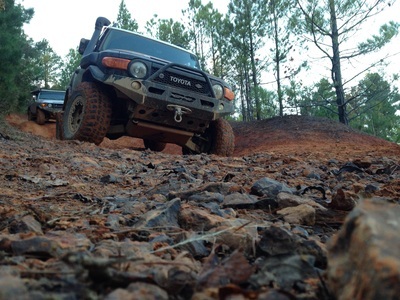 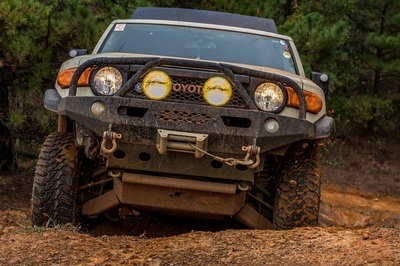 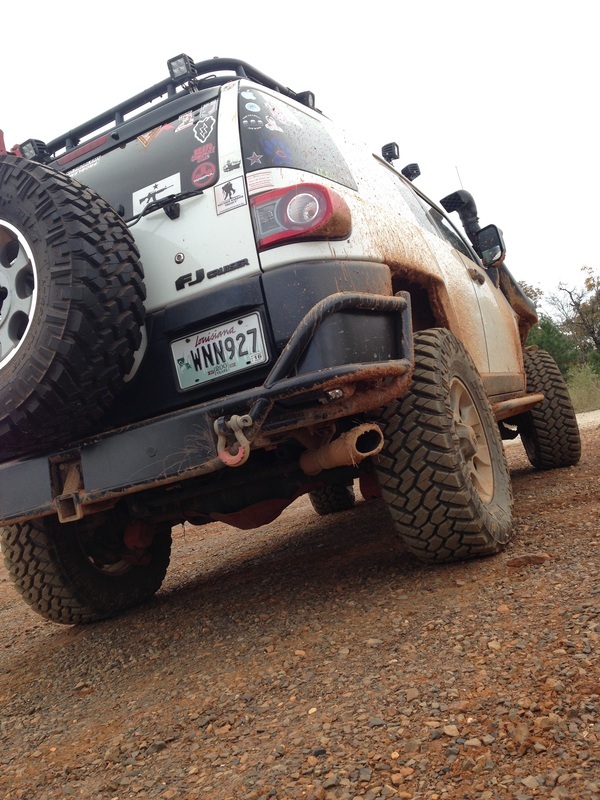 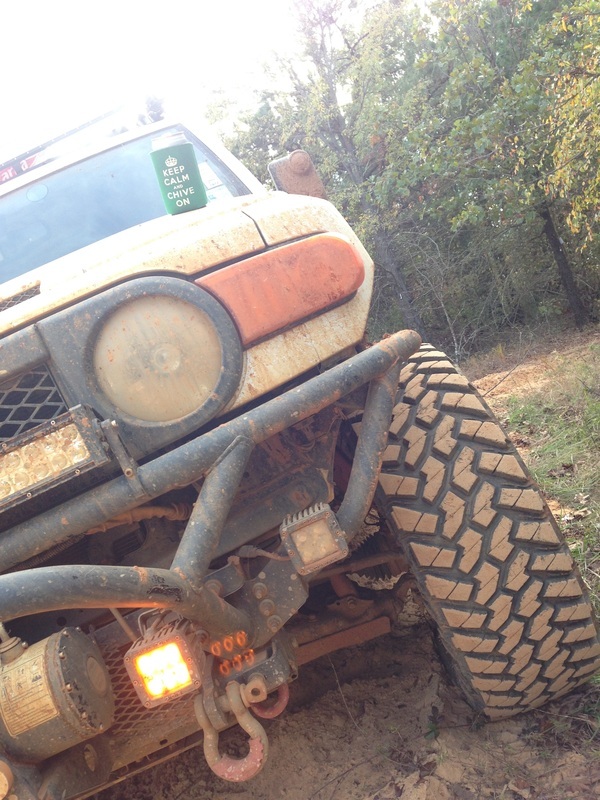 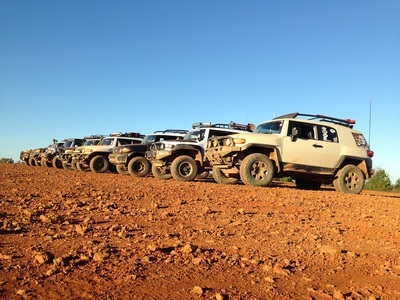 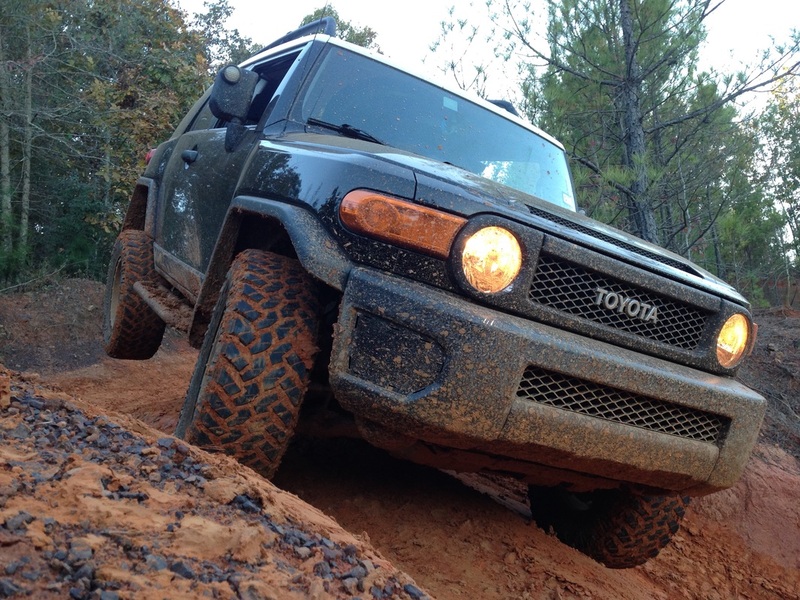 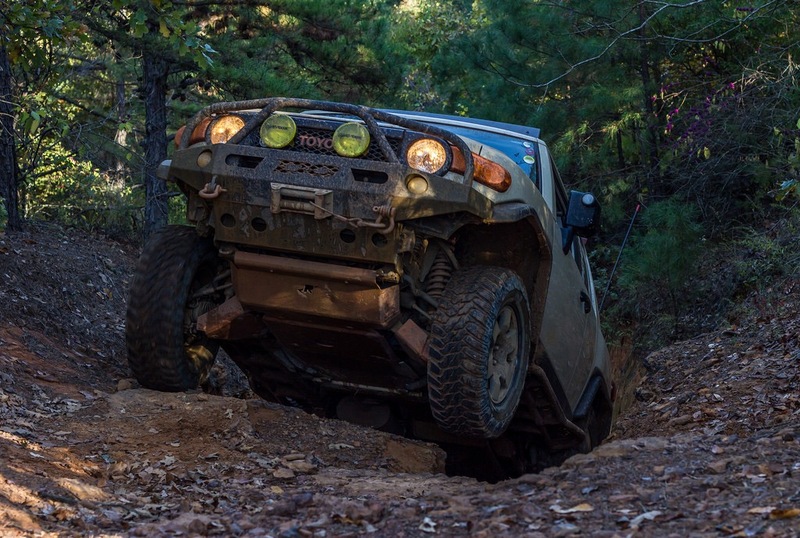 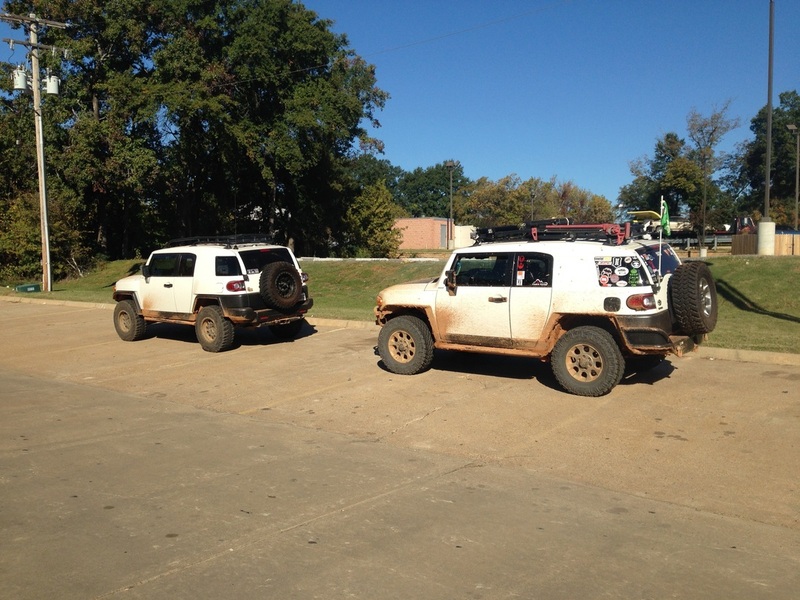 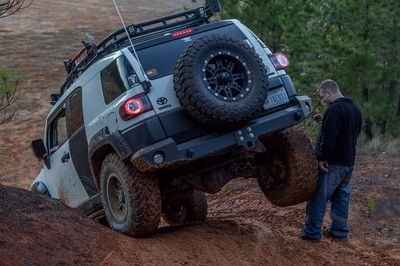 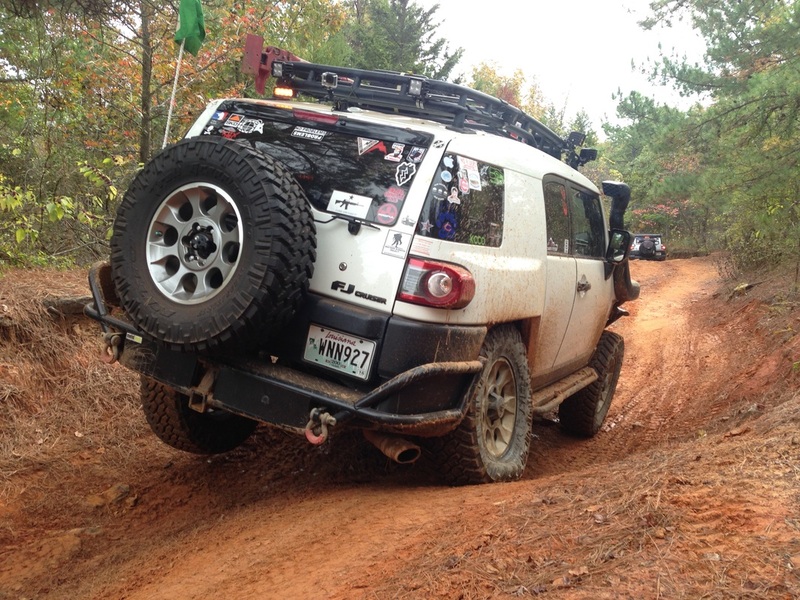 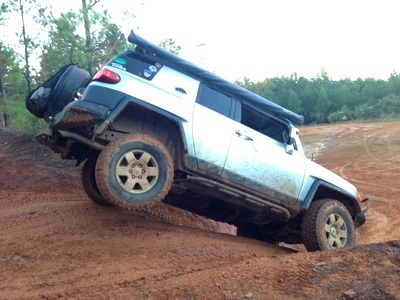 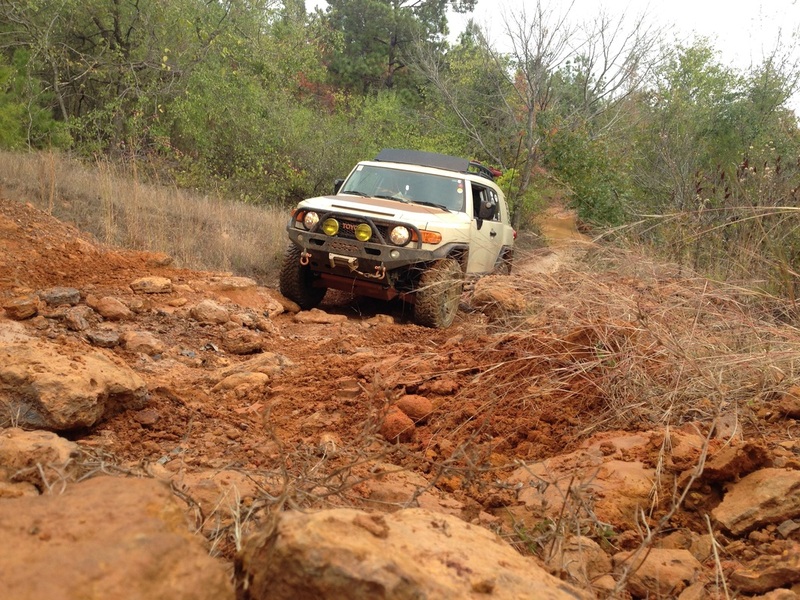 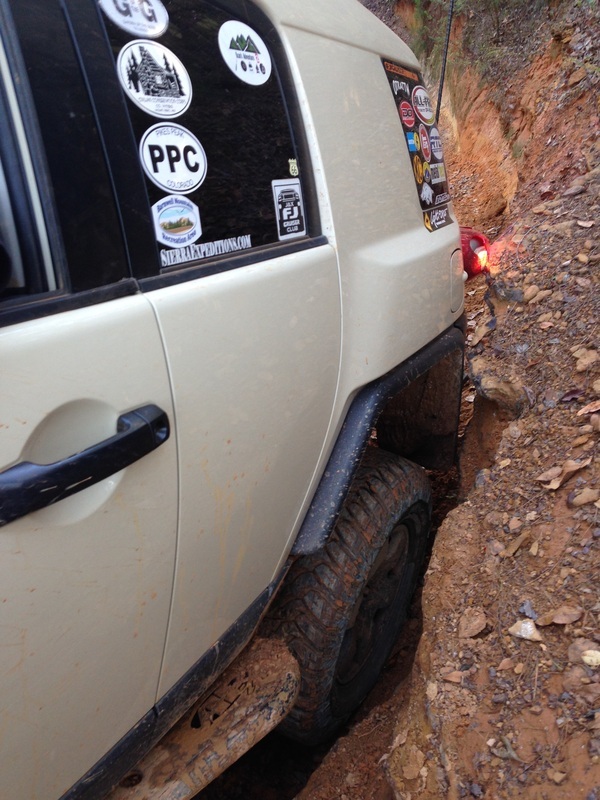 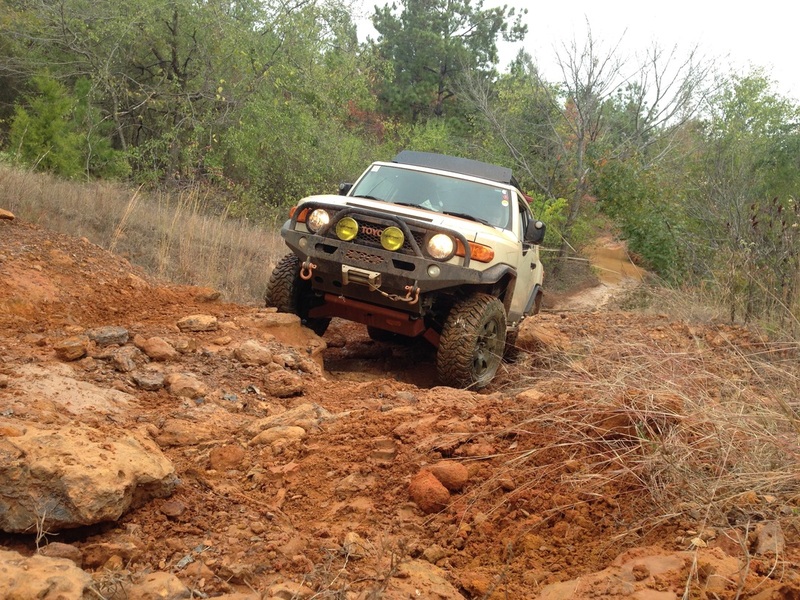 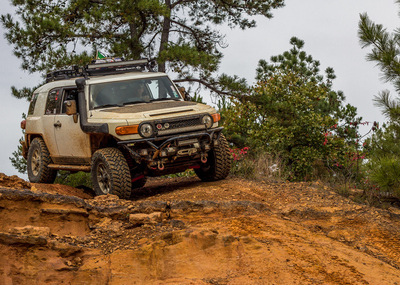 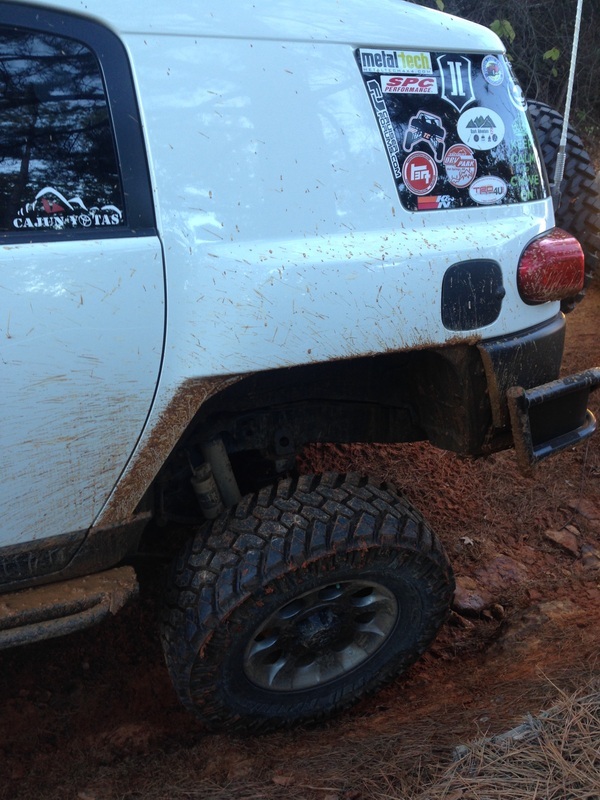 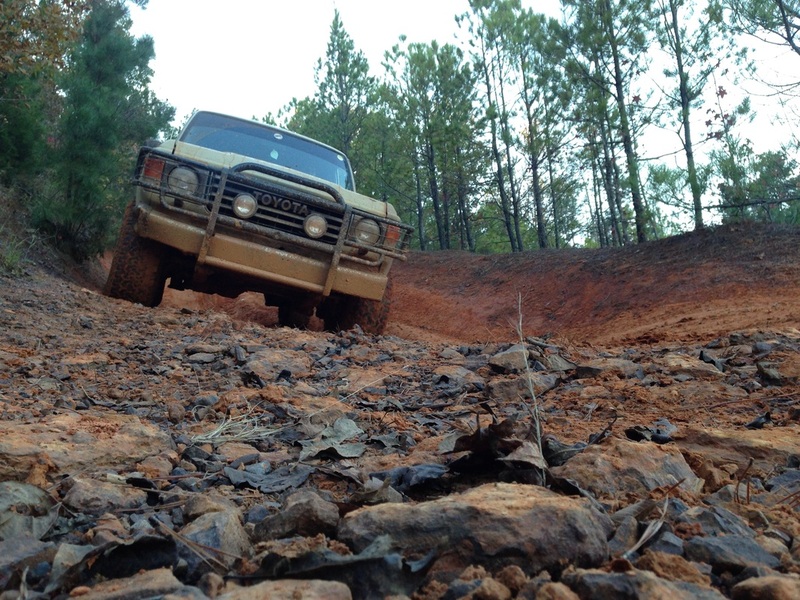 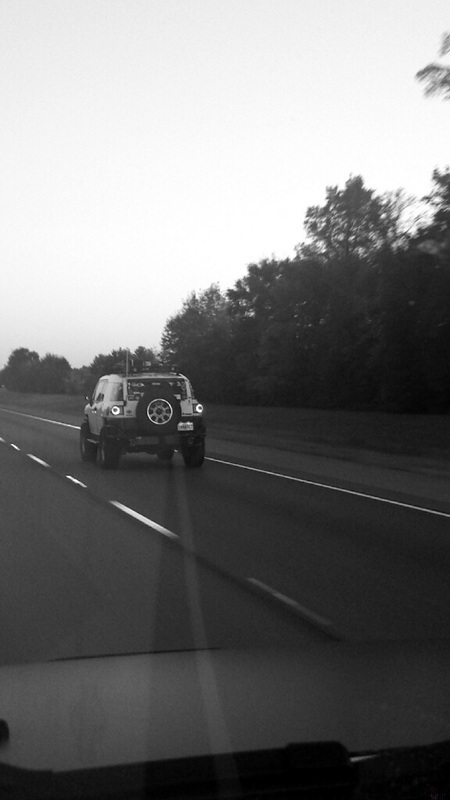 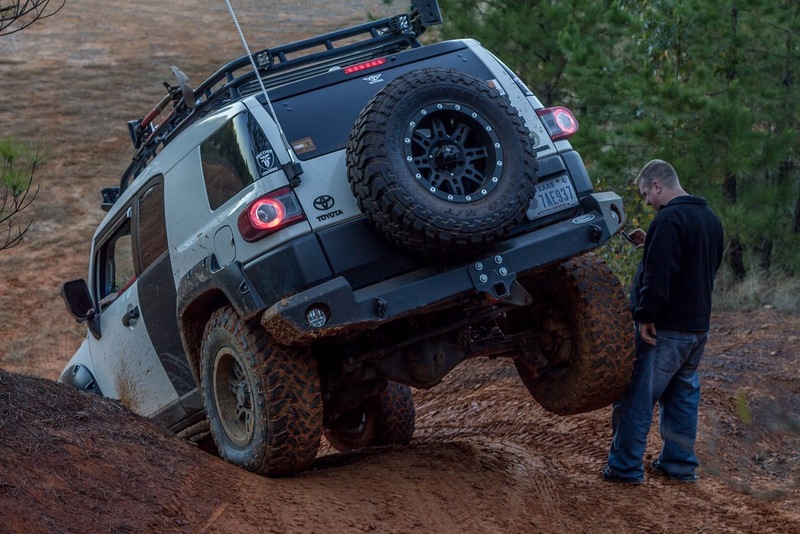 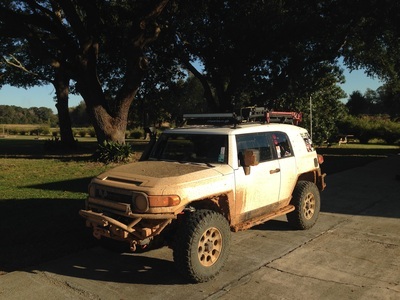 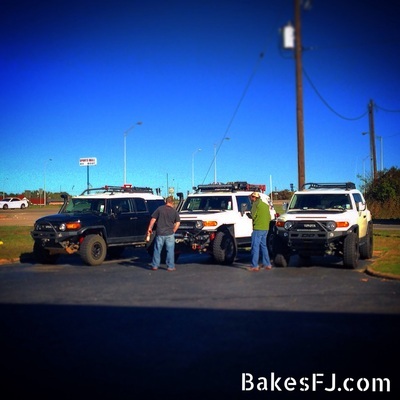 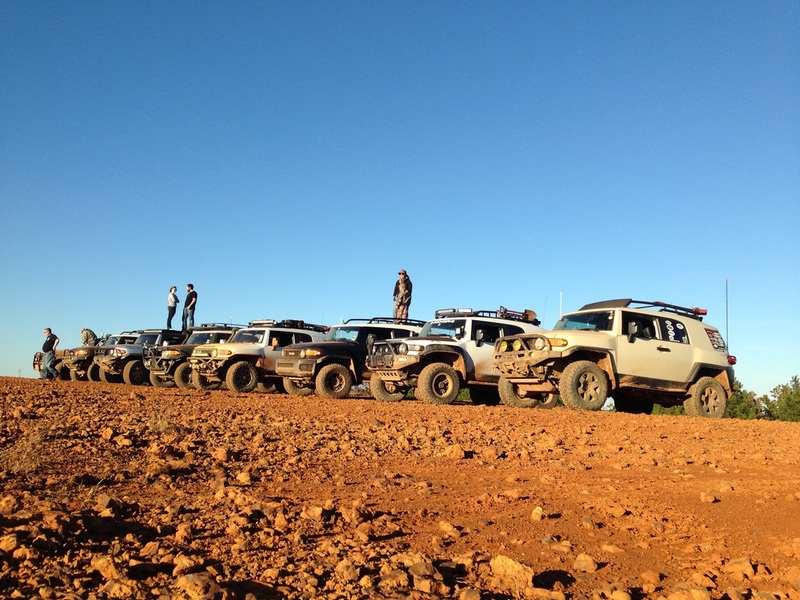 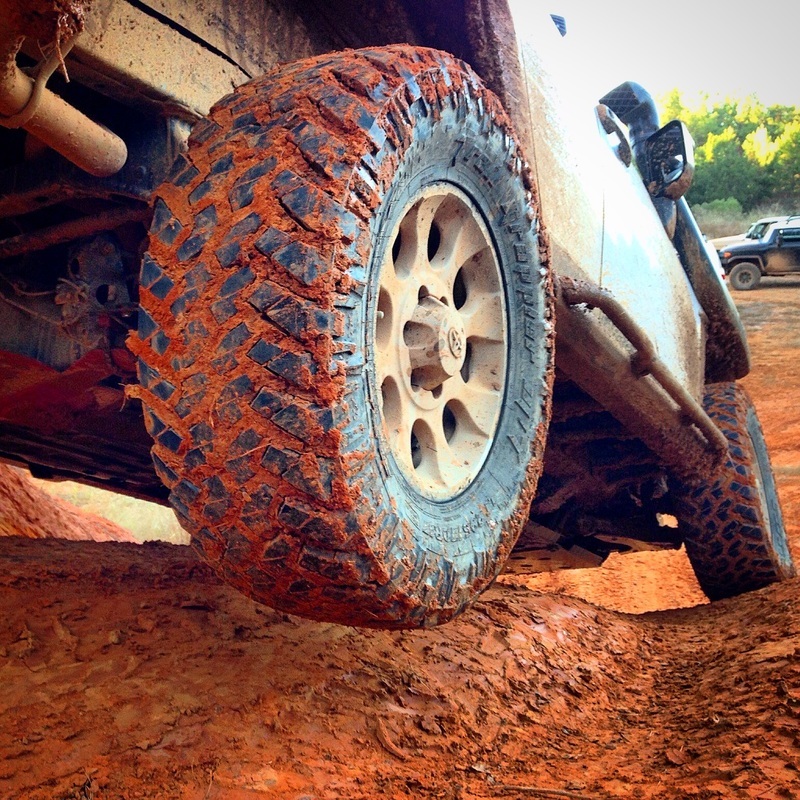 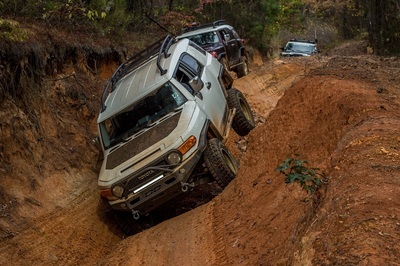 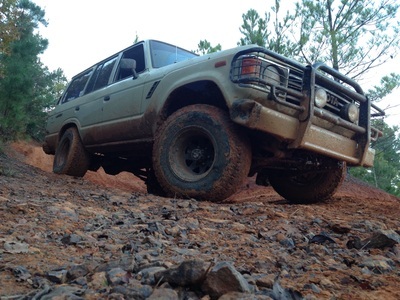 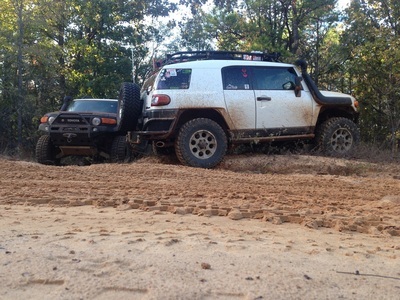 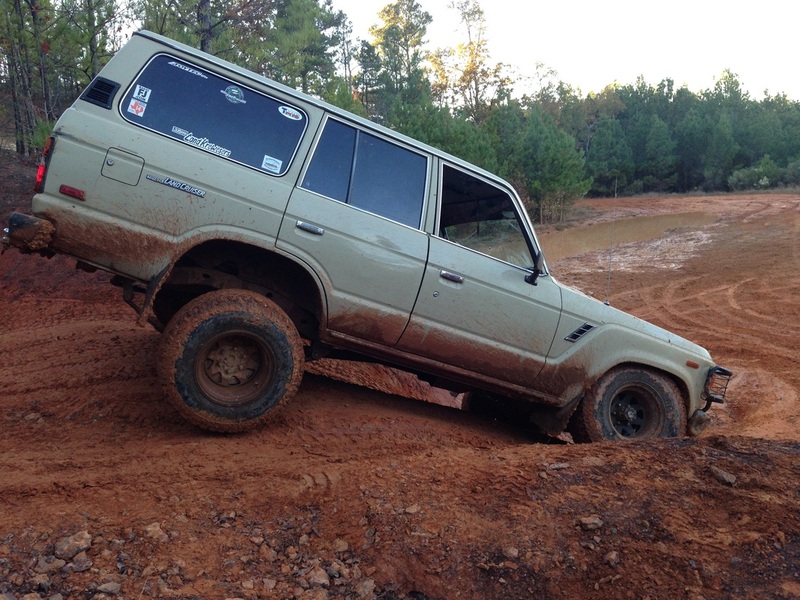 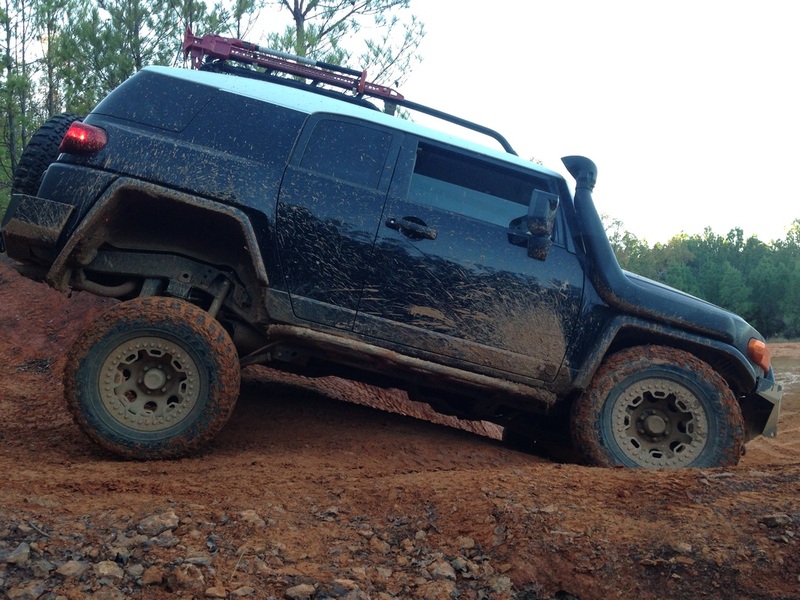 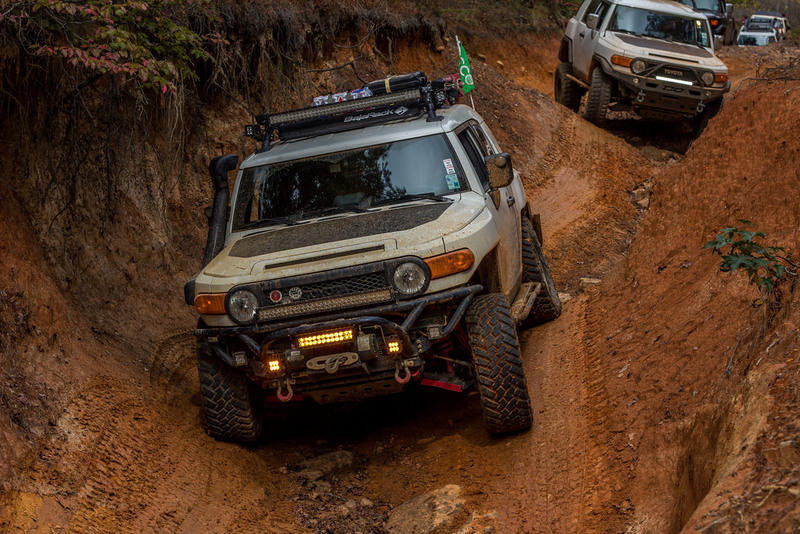 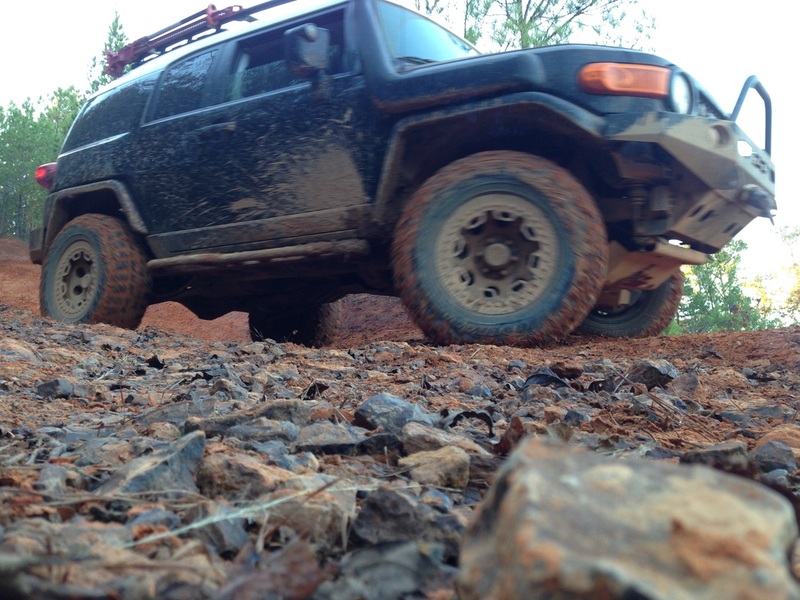 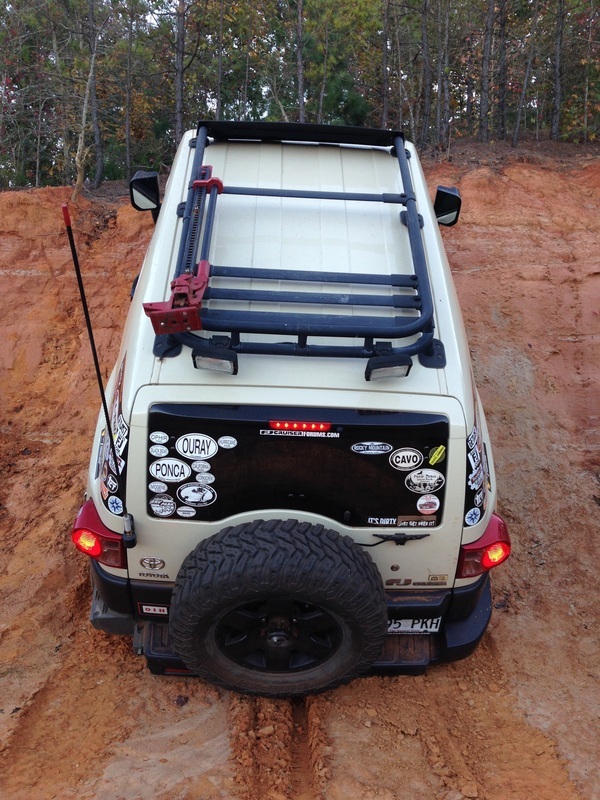 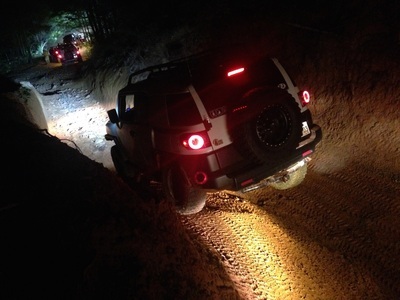 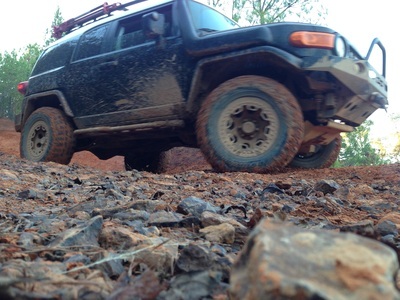 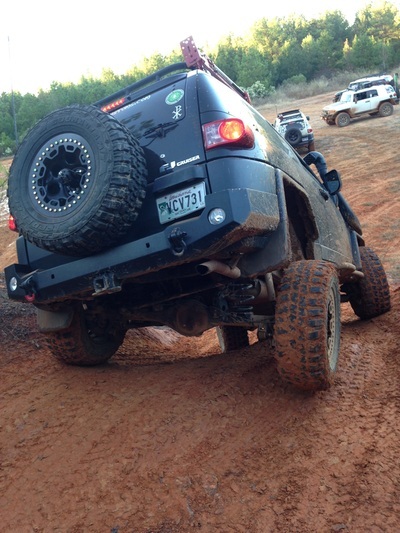 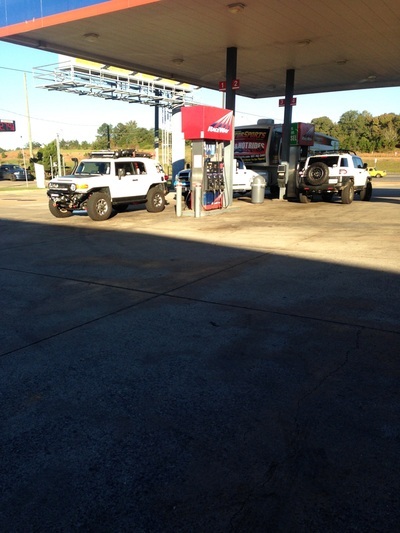 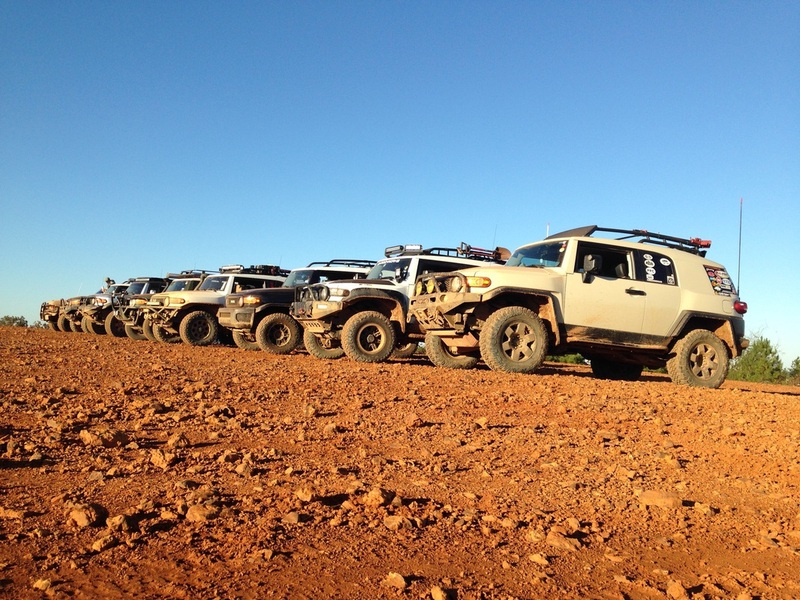 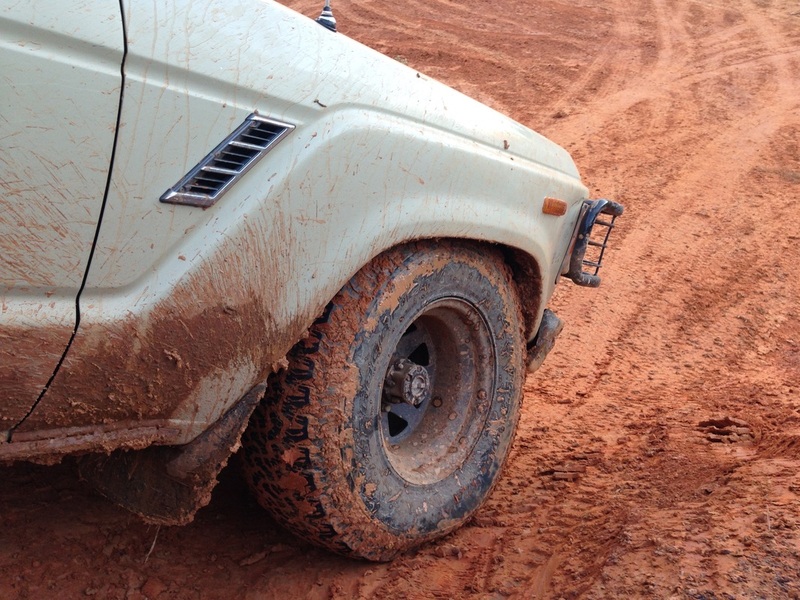 Once we got the FJ to a flat spot we were able to work on it. 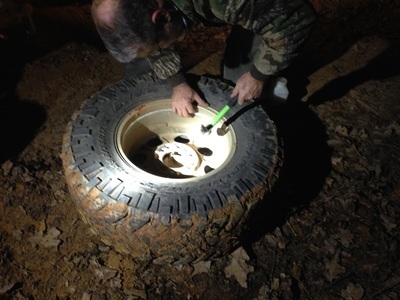 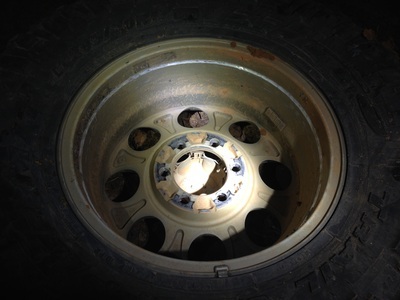 It took some doing, but we got the tire off (broke a lug in the process). 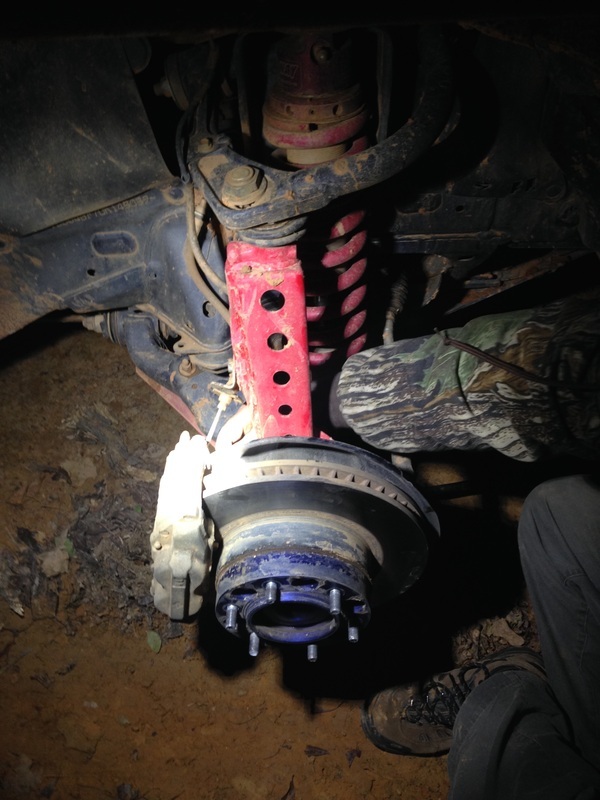 Thanks to one of the other guys with us (pulled a bolt off of his hitch receiver) we were able to bolt the caliper back on. 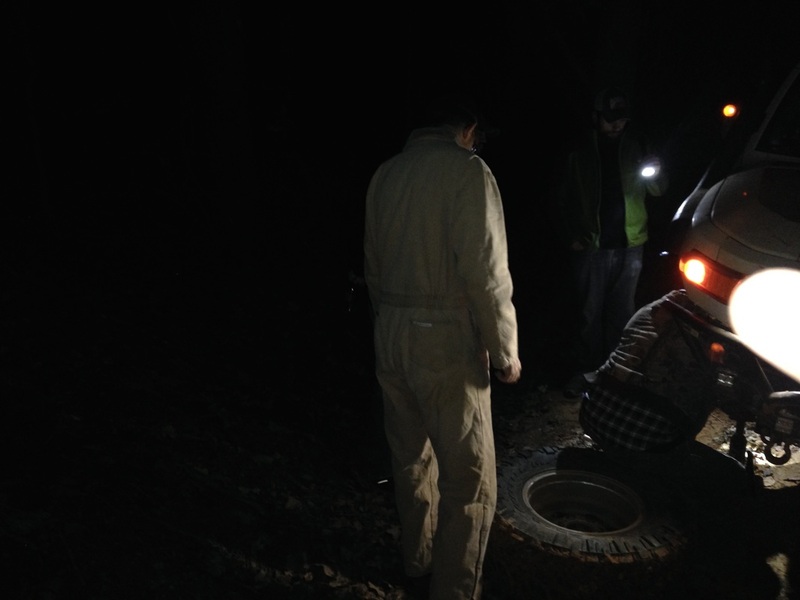 Once the tire was back one, we were good to go. 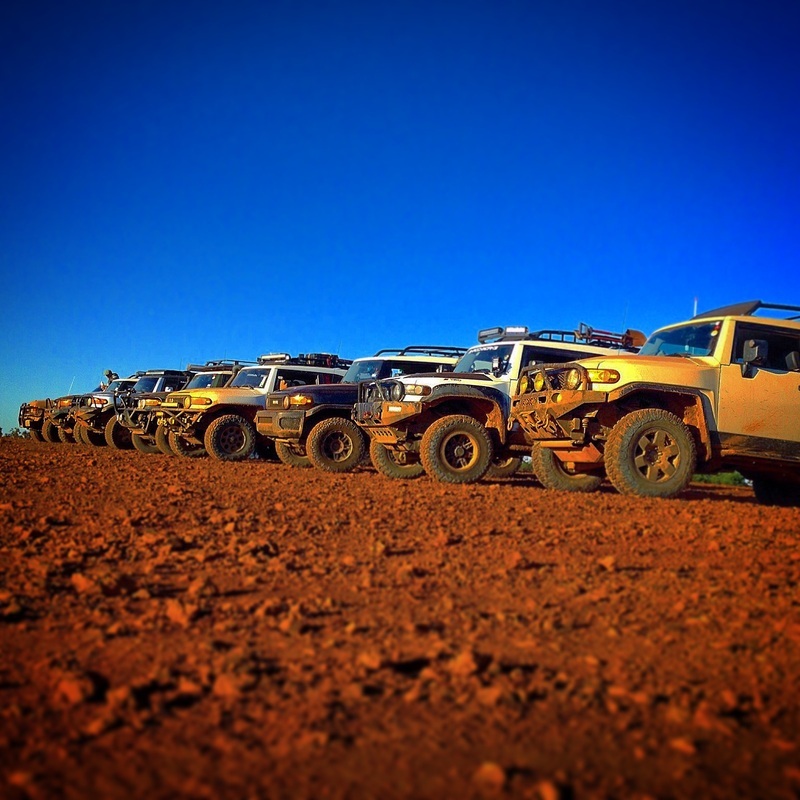 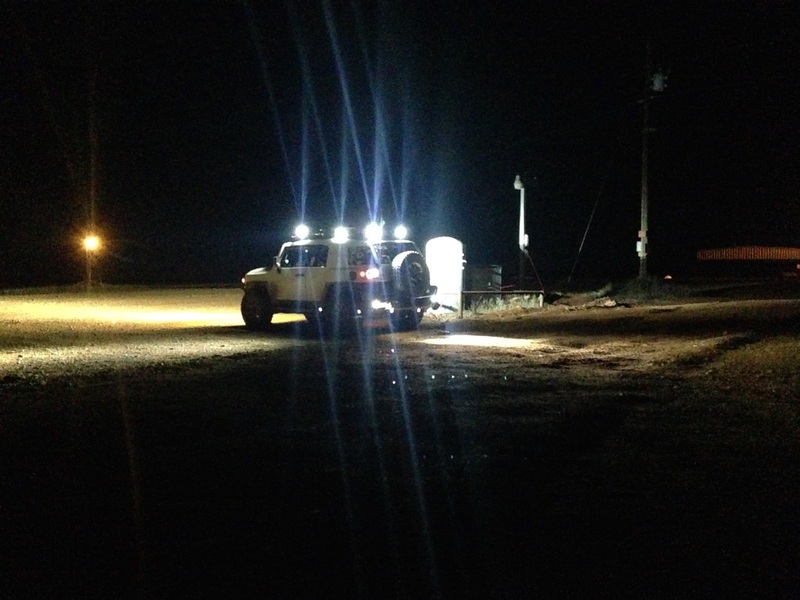 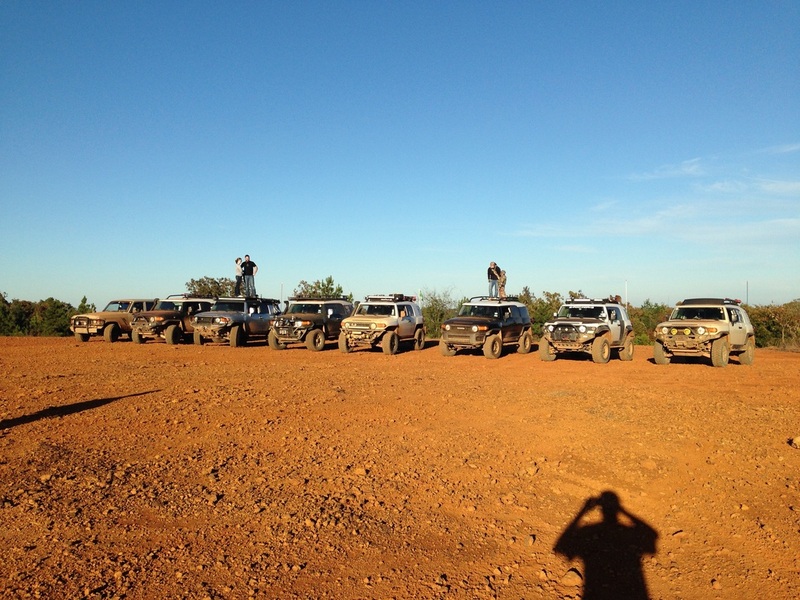 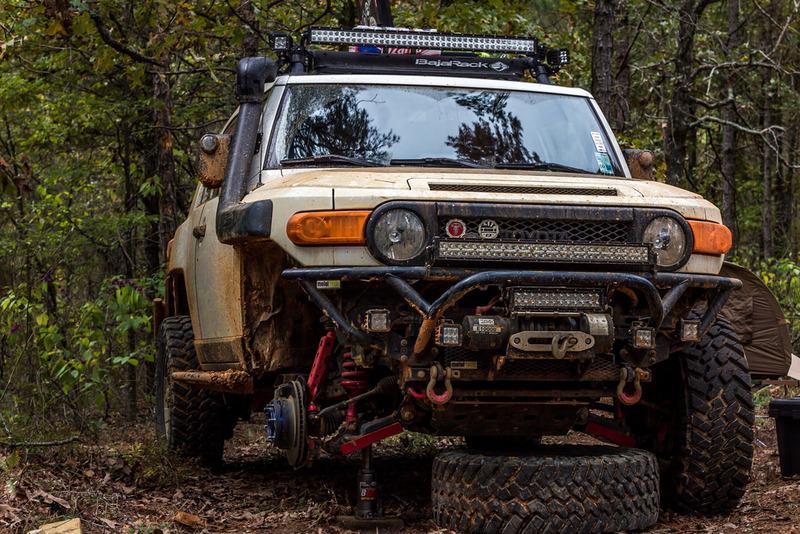 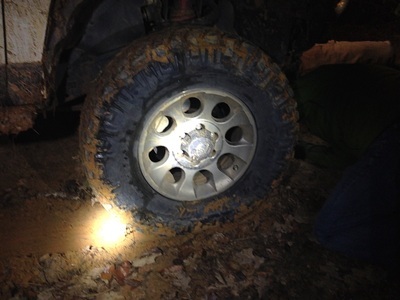 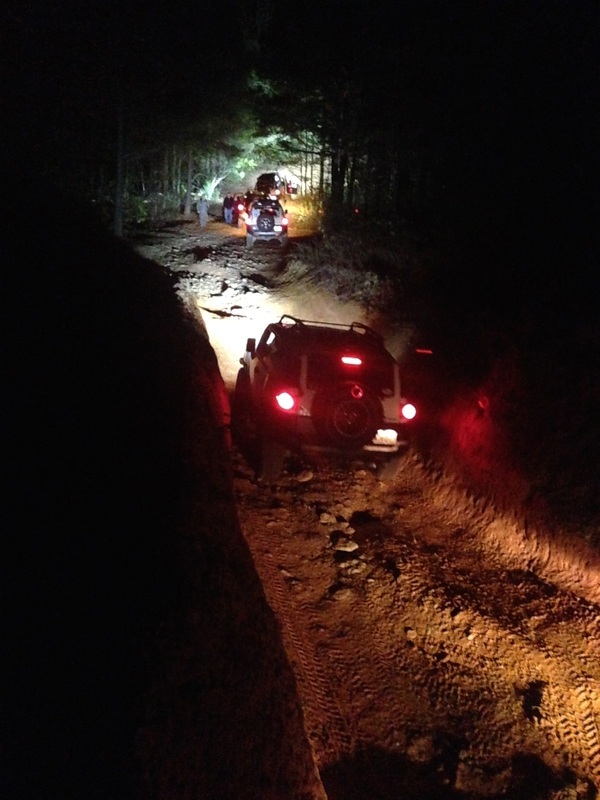 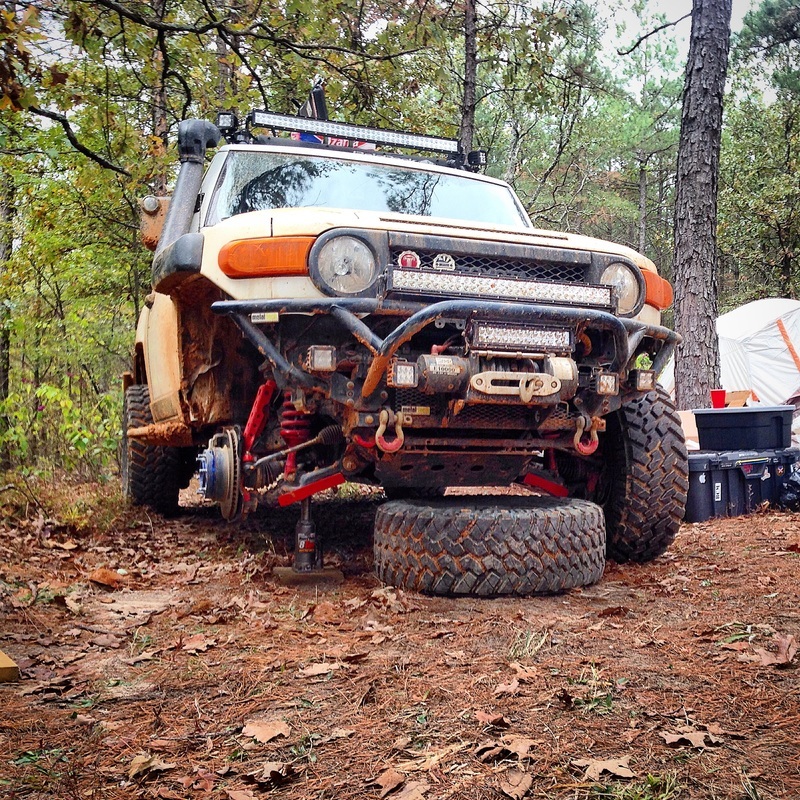 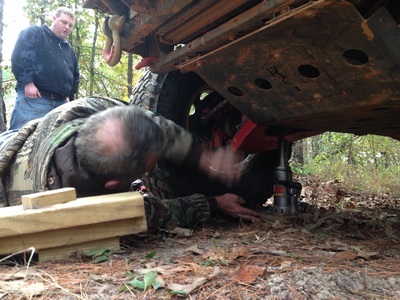 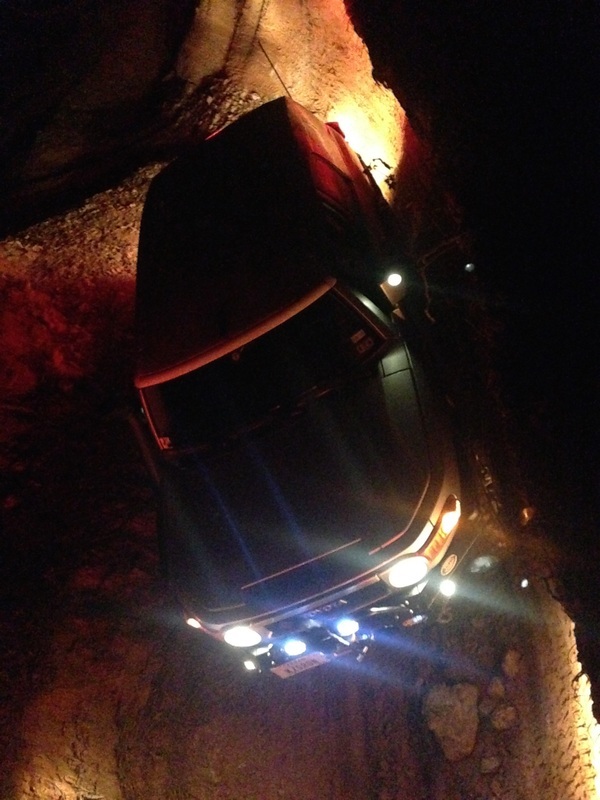 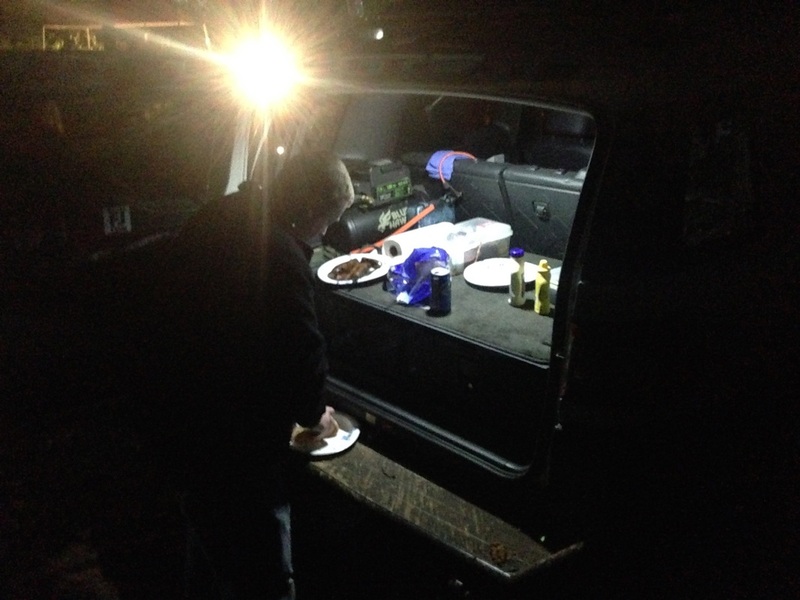 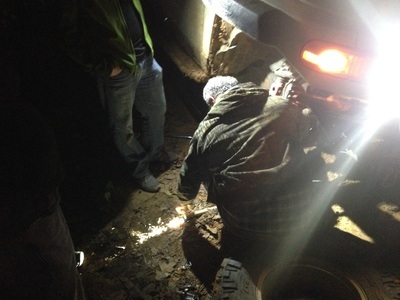 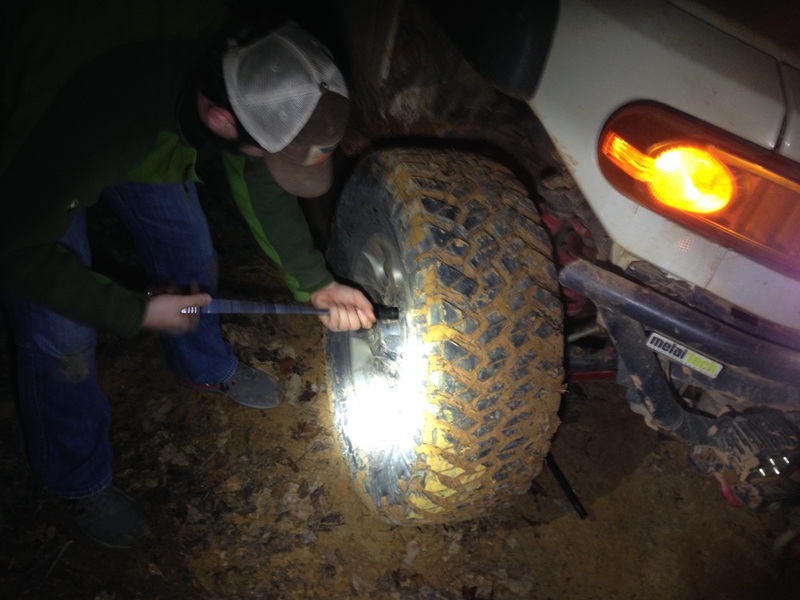 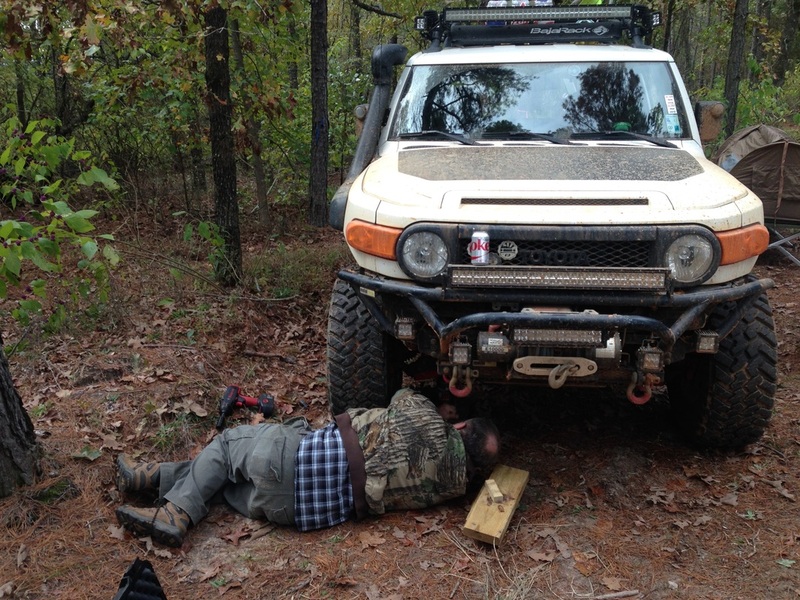 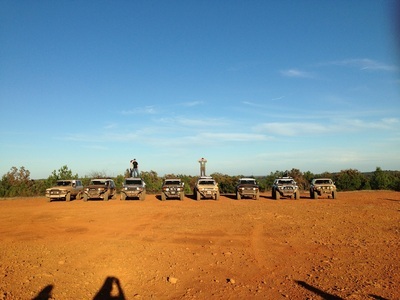 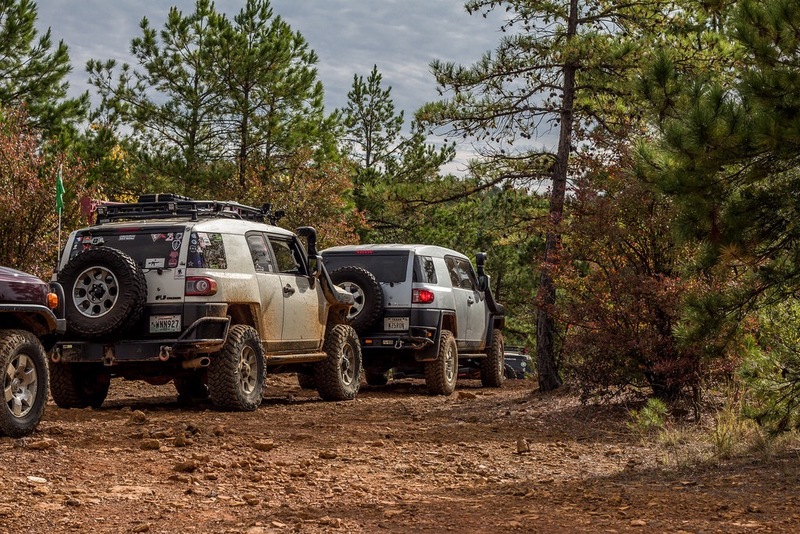 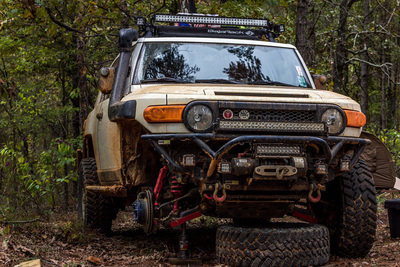 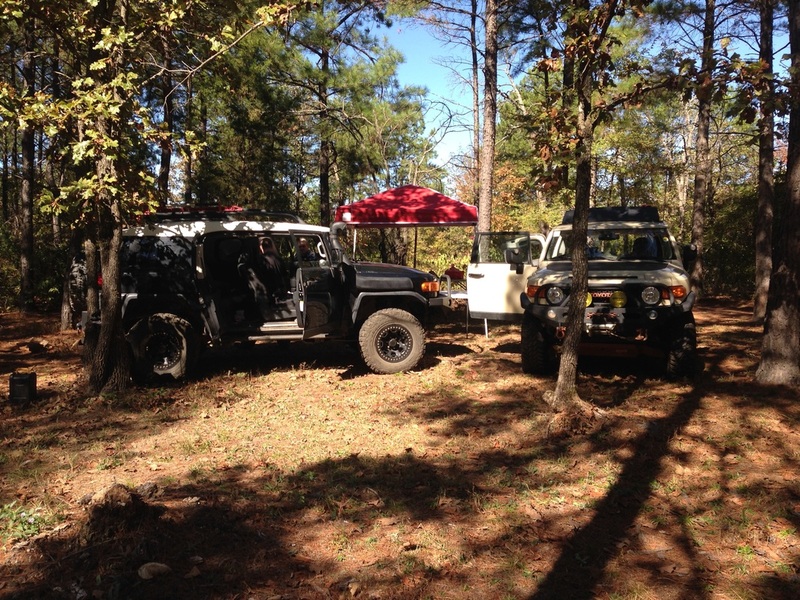 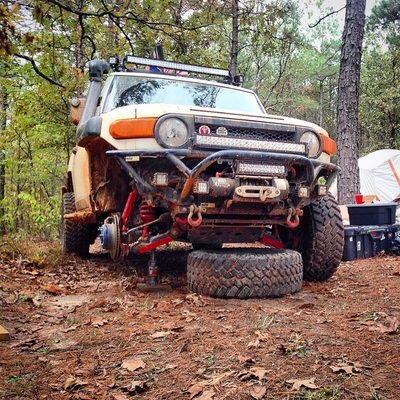 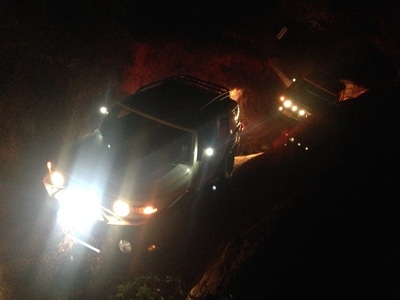 Thankfully with the help of everyone on the trail with me, we were able to fix the FJ and get back to camp. 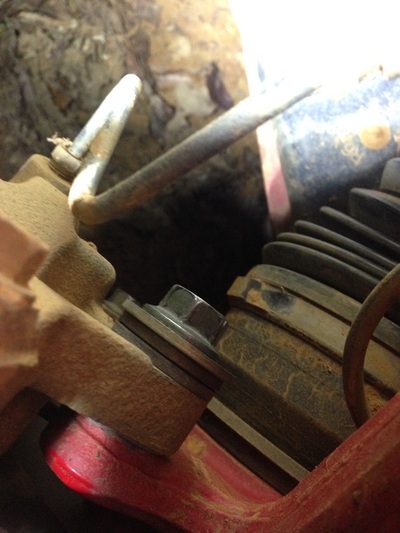 I'd like to thank everyone for the help and thank Paul for taking me to town the next morning to buy a replacement bolt (M12x1.25, 17mm head). The rest of the weekend was great and I can't wait to do it again. I'd like to thank Ray and Roxanne for working the camera and getting some great shots.